The Firehawk 1500 lets you use the same sounds you used in the studio for recording live onstage, backed by 1500 watts of clean power - enough to ensure that you can get your tone at virtually any volume. Check out Paul Hindmarsh and 300ft Gorilla playing "Still I Bleed" at a gig, and see how great both the electric AND acoustic guitars sound in the mix. 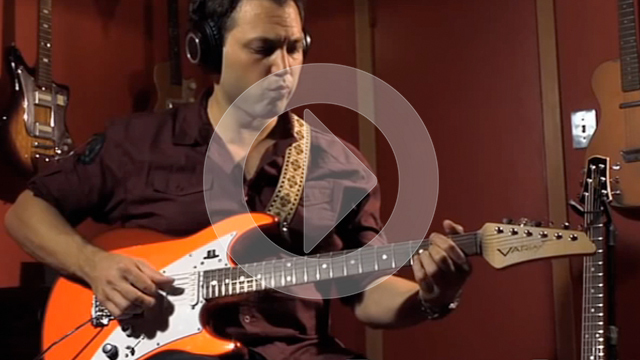 All guitars recorded using Firehawk 1500. 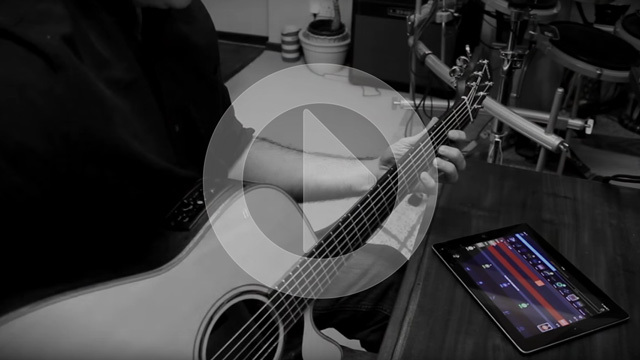 Join product specialist Nick Bell as he talks about practicing guitar using AMPLIFi, and plays along with one of the jam tracks now included in the AMPLIFi app. You can check out just how fun Mobile POD 2.0 is by using one of the built-in riffs, even if you don't have a guitar handy. Now with up to eight effects at once on your mobile device! Relay G10 makes it so easy to play that you may find yourself more comfortable than ever before while holding your guitar. This may or may not be a good thing. 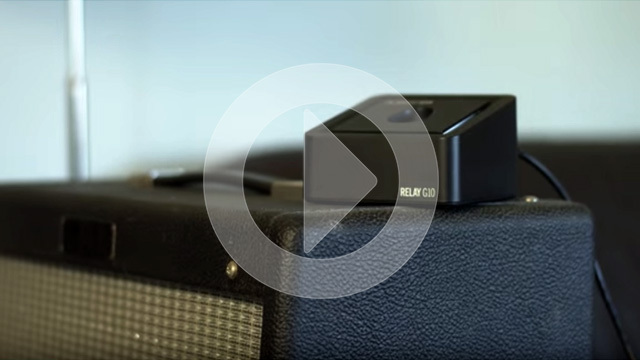 With no batteries to change and no long cables to run, Relay G10 makes it easier than ever before to play guitar at home. Add guitar to a soccer match and snacks, and you get a fantastic way to spend a lazy Sunday. Sometimes you need to remember take the guitar off though. Relay G10 is the easiest wireless system ever. Hang out at a rehearsal studio in Los Angeles and watch a group of young musicians chow down on pizza and work out an arrangement, all while checking out the Relay G10. All audio recorded straight into the Stagescape M20d digital mixer, and the electric guitar was reamped afterward using Helix. 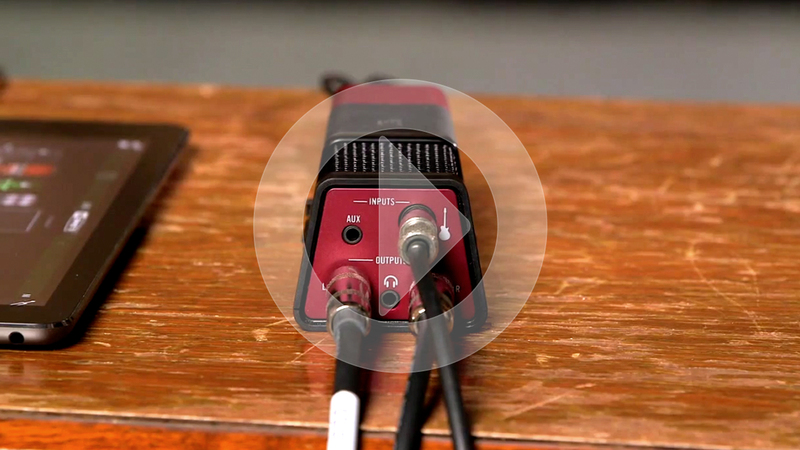 Join Paul Hindmarsh as he explains how to use the new Firehawk 1500 stage amp to amplify your acoustic instruments, and gives some of the benefits to being able to run both your electric and acoustic guitars through the same amp onstage. 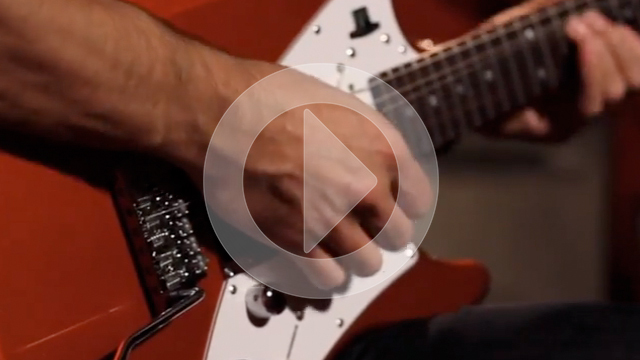 Join Paul Hindmarsh as he demonstrates the new Firehawk 1500 stage amp, in conjunction with a Variax Standard guitar, and plays through two complete songs. 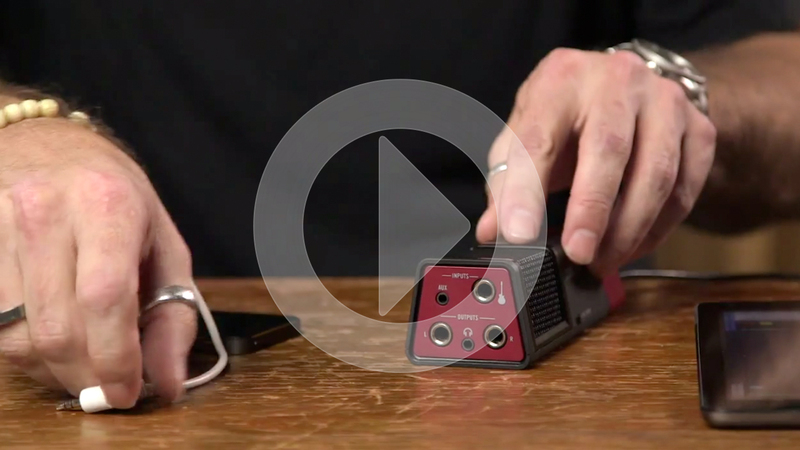 Join Sean Halley and Jeb Cook for a super deep dive into the features of the new Relay G10 digital wireless system from Line 6, the easiest wireless system ever. Browne from the band Monuments stopped by the Line 6 NAMM booth to chat with Sean Halley about guitar, music, and how he thinks about guitar tone. 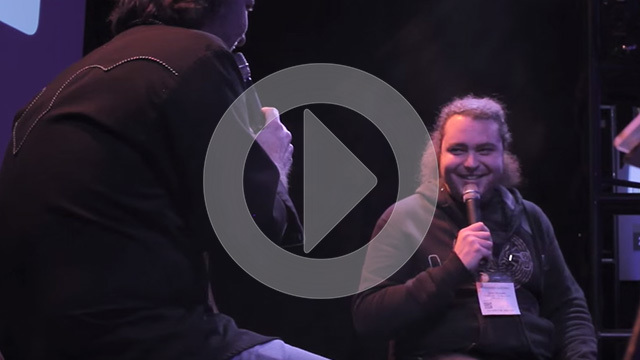 Join Sean Halley and Matt Scannell for a fun-filled discussion from the 2016 NAMM show. 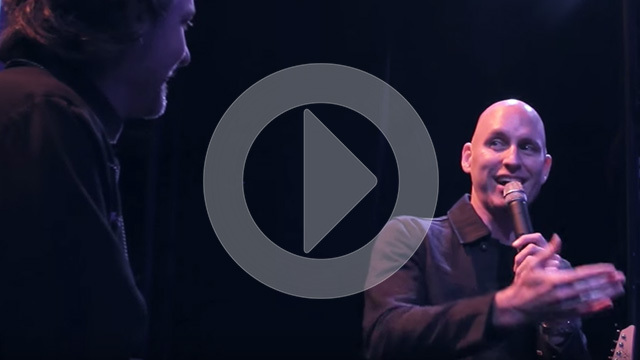 Learn about both Matt and Vertical Horizon's musical journey, and hear Matt's thoughts on the new Helix processor. Vertical Horizon is also working on a new record, so check out www.verticalhorizon.com for news and updates. 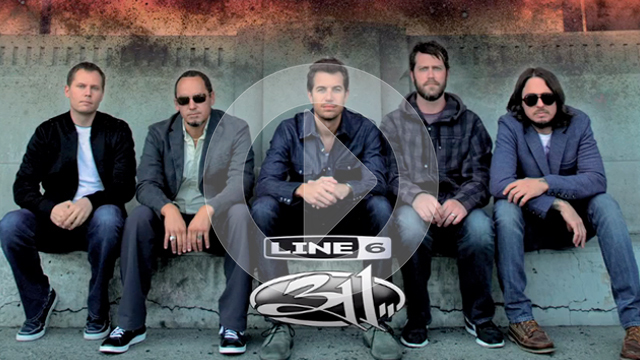 Guitarist Pete Thorn stopped by the Line 6 booth at NAMM to chat with Sean Halley about how he got started in music, his history using Line 6 gear and his thoughts on gear in general, and his new internet guitar chat program. 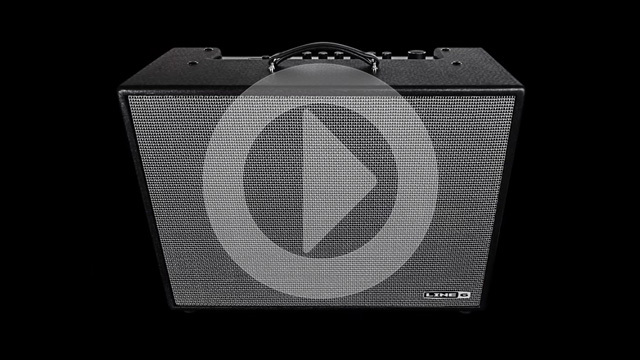 Join Paul Hindmarsh as he takes you through the new Firehawk 1500, which is a 1500 watt stage amp with enough power to handle any gig and any volume requirements - loud or quiet - and the ability to be used with both electric and acoustic instruments. 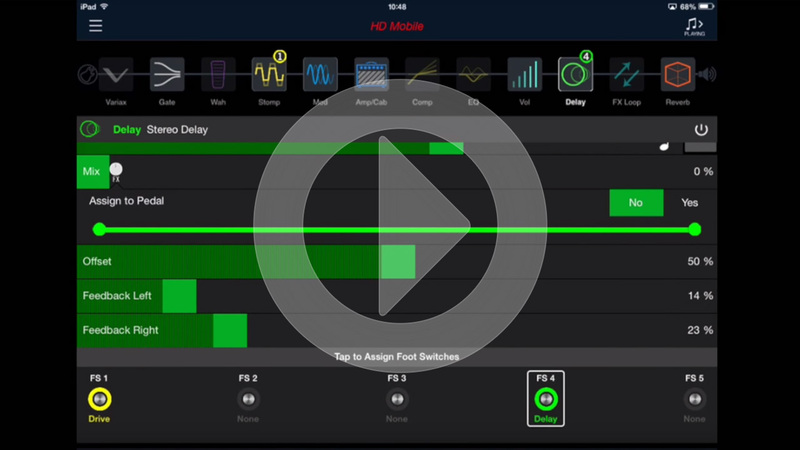 Join Paul Hindmarsh as he takes a tour of the mobile interface for the Firehawk FX. 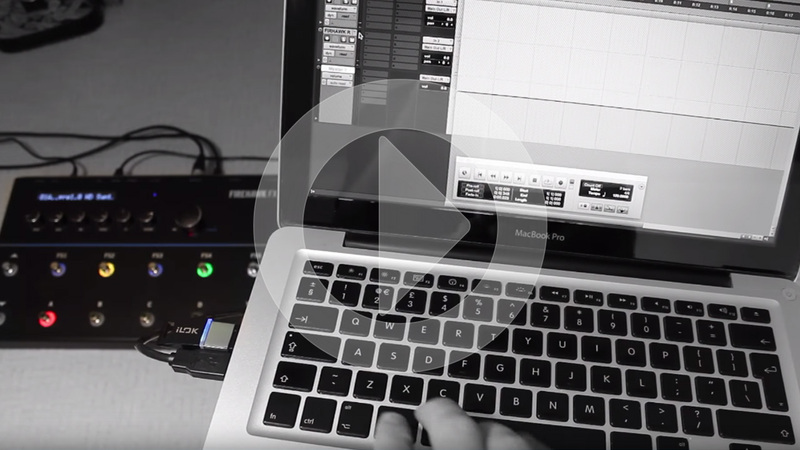 Join Paul Hindmarsh as he examines the multiple ways that the Firehawk FX can be connected to other devices. 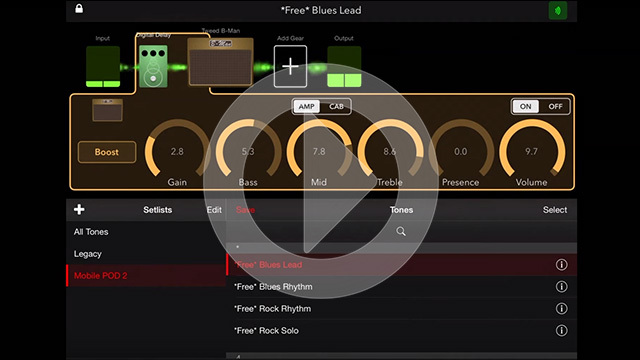 Join Paul Hindmarsh as he shows you how to use the new Firehawk FX from Line 6 as your computer's recording interface. 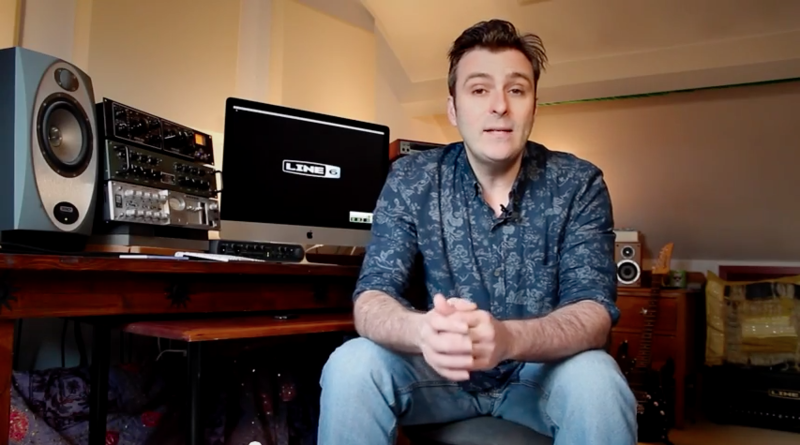 Join Paul Hindmarsh as he puts the new Firehawk FX through its paces in the studio, after a quick tour of the user interface. 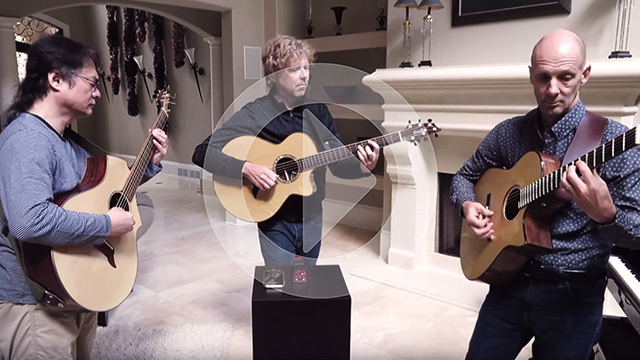 The California Guitar Trio always impresses with their musicality, their technical mastery, and their humor. Check out www.cgtrio.com for more information on the band and their new album, which contains this song. 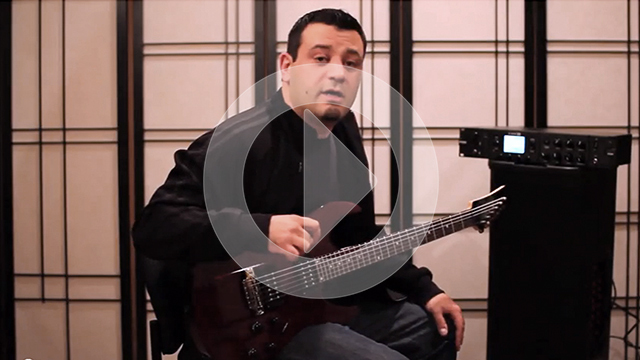 Join CGT as they record their newest song 'Cherry Trees" directly into the Sonic Port VX from Line 6. The audio came directly from the iPhone®, and hasn't been sweetened, other than a bit of reverb. 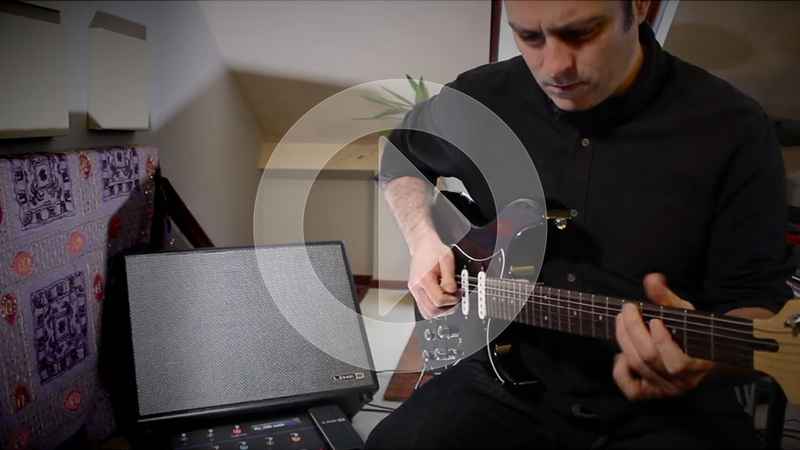 Join Sean Halley as he switches between three different instruments in one looping example, using only one Relay G70 wireless receiver. 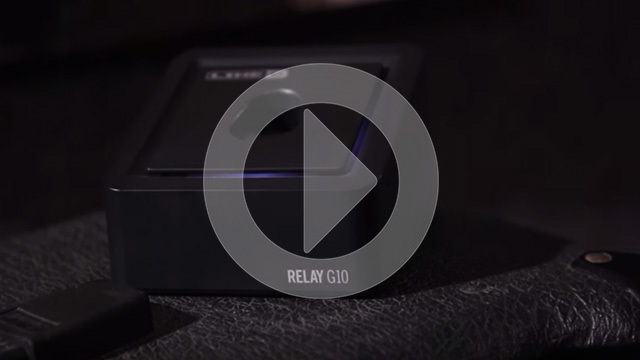 Relay G70 and G75 are the only digital wireless systems that allow you to switch a large number of instruments into one wireless receiver, all with pristine uncompressed 24-bit audio. All audio recorded direct to Pro Tools over USB using Helix. 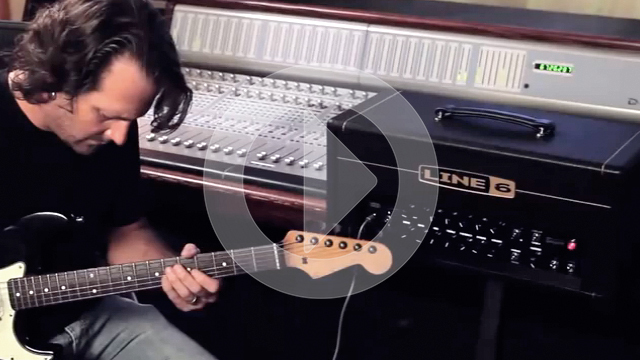 In this new video, you’ll discover how to dial in amazing acoustic guitar tones with James Tyler Variax and POD. 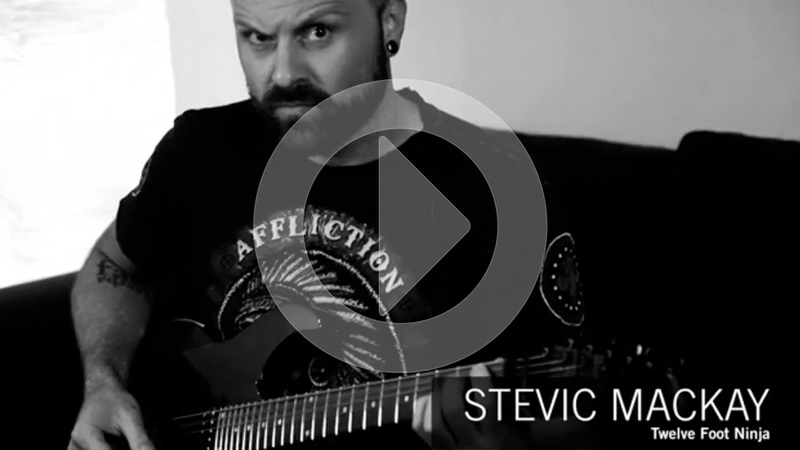 Watch Stevic MacKay of Twelve Foot Ninja as he demonstrates his “full range” acoustic tone and discusses how JTV and POD let him bring his acoustic sound and style to the stage. 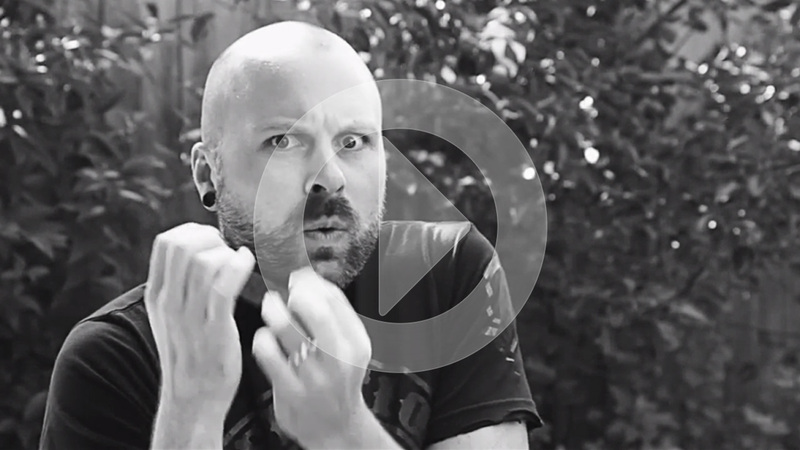 In this new video, Stevic MacKay of Twelve Foot Ninja doles out pro tips for using POD live on stage. 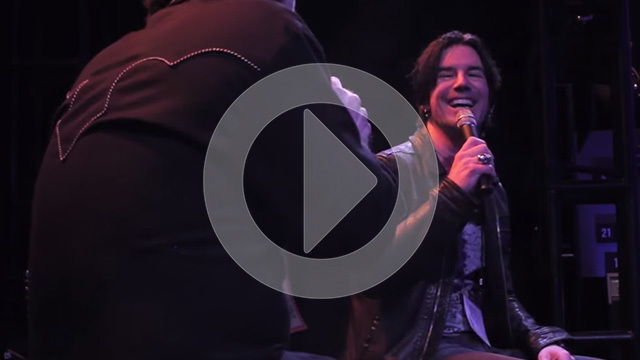 Learn how POD HD500X helps him easily deliver unique guitar tones both in studio and on stage, without ever compromising quality. Some guitarists play six strings. Others play 7 or 8. 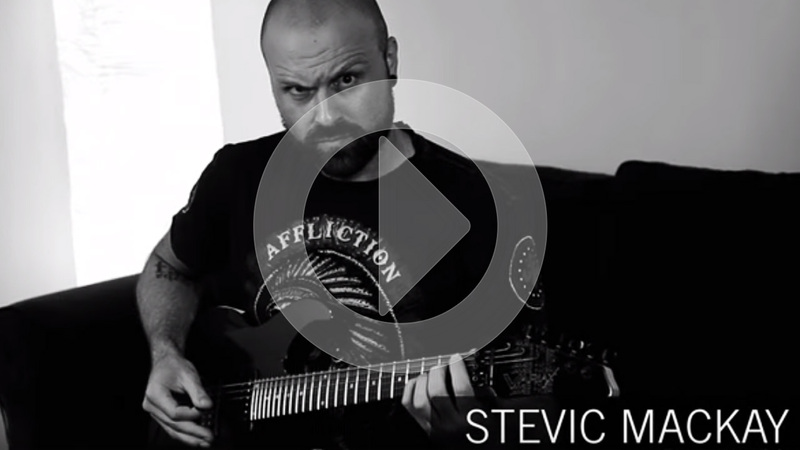 Stevic Mackay of Twelve Foot Ninja plays them all with one trusty rig—Line 6 JTV and POD. 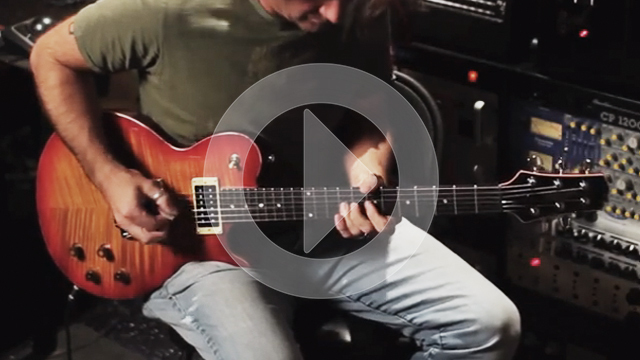 Learn how to switch tunings and tones mid song with exclusive tips from one of the industry’s heaviest axe slingers. 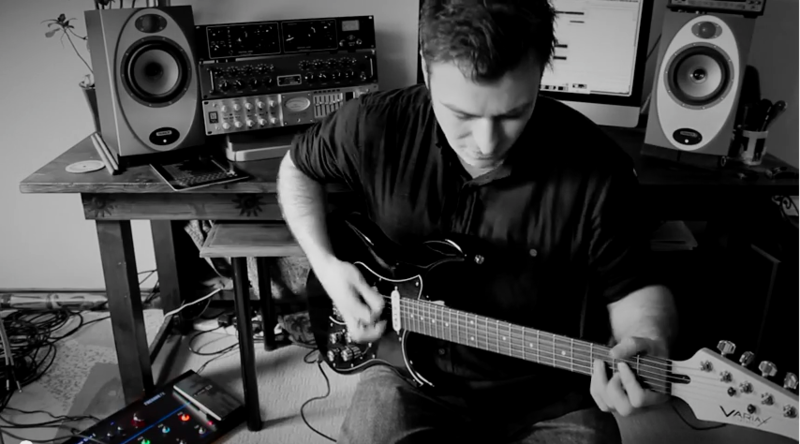 Guitarist Stevic MacKay puts Line 6 POD HD500X through its paces, demonstrating unique features that let guitarists take their tone to new levels. 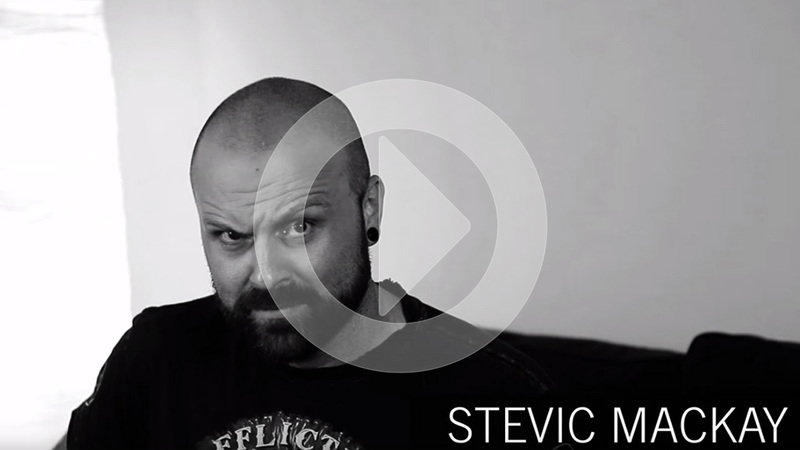 See how Stevic uses POD HD500X to finely craft his tone and bring his music to life in the studio and on stage—without lugging around tons of gear. Looking to experiment with contrasting tones on your POD? 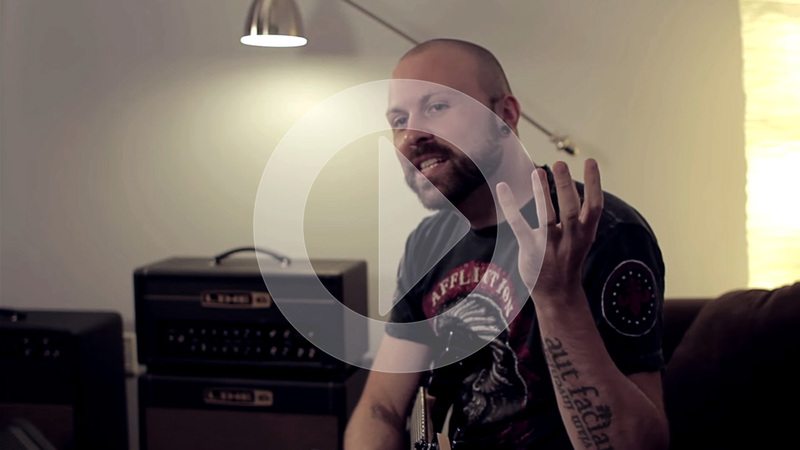 See how Stevic MacKay of Twelve Foot Ninja uses POD HD500X to alter his favorite tones and create new, dynamic effects that enhance his playing. 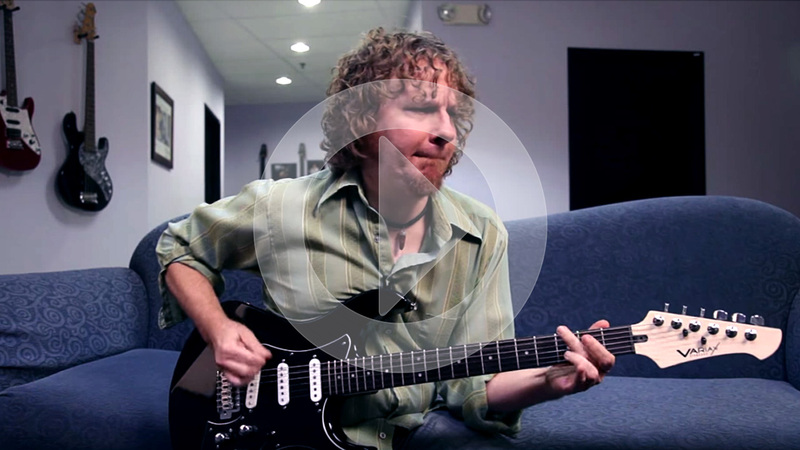 Touring and session guitarist JB Eckl stopped by the office recently to check out the new Variax Standard guitar and chat about gear. 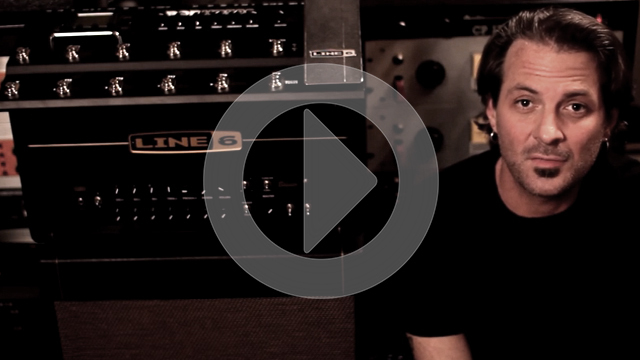 Join JB in part I of our chat, as he takes us through some classic electric guitar sounds. In part II of our conversation with touring and session guitarist JB Eckl, he takes us through some of the amazing acoustic and reso sounds in the brand new Variax Standard guitar. In Part III of our conversation with touring and session guitarist JB Eckl, he relates a classic story from his time on the road with the band War. 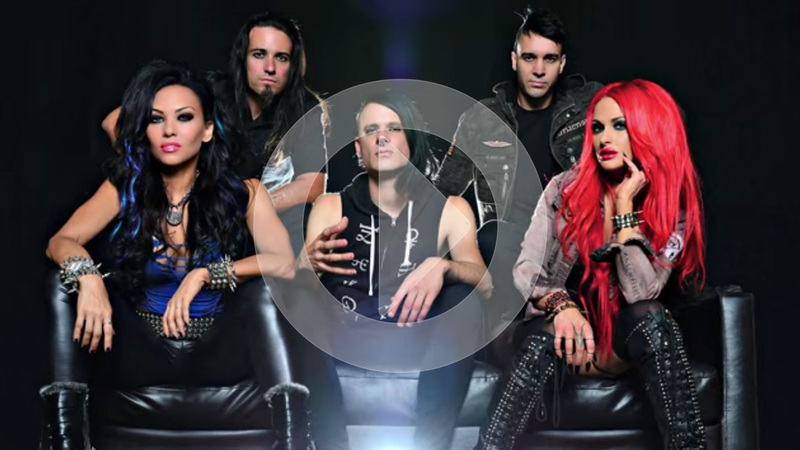 Henry Flury from the Butcher Babies stopped by the office recently to give the new Firehawk FX a metal workout. Join Henry as he talks about speaker cabinets, considerations on playing eight-string guitar, and how to get the mosh pit going. Some of the most influential guitarists in heavy music use Line 6 processors to get their signature sound - check out how the guys from Monuments, Uneven Structure, Vildhjarta, Chimpspanner, 12 Foot Ninja, Vola, and The Algorithm use POD HD on stage and in the studio. 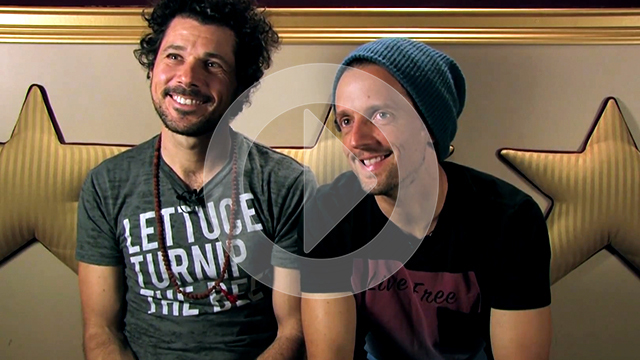 Video editing by Ben Davies, produced and directed by Stevic McKay of 12 Foot Ninja. 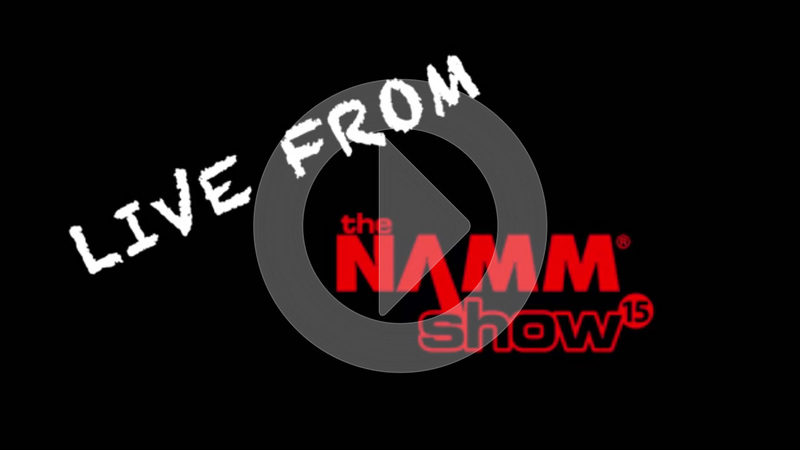 Live from the spy cams at NAMM 2015, Paul Hindmarsh introduces you to the new Variax Standard - the first collaboration between Line 6 and Yamaha. 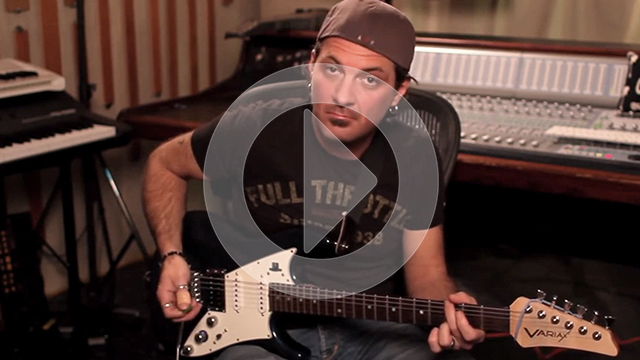 Join Paul as he takes us through killer electric and acoustic tones, all played through the new Firehawk FX processor. The Relay G70 is the first device of its kind: a digital wireless system that incorporates four additional devices in the same unit. Join Sean Halley in the studio as he quickly shows you G70's A/B/Y routing capability, and dives into the menu structure to let you see under the hood. 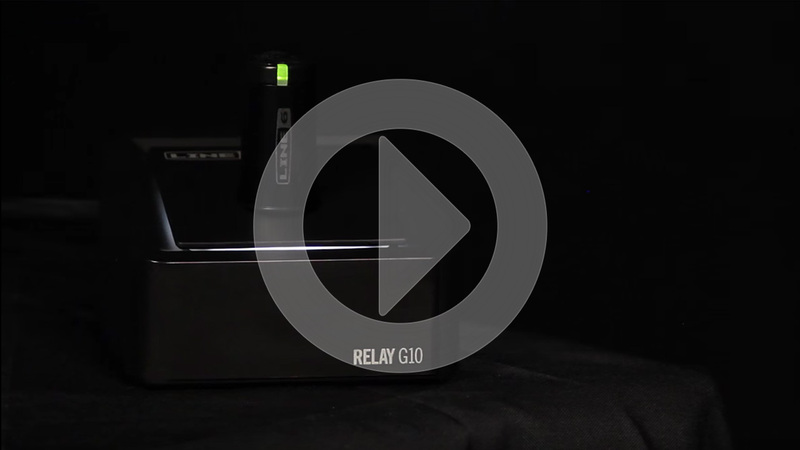 Live from the spy cams at NAMM 2015, Sean Halley introduces you to the new Relay G70 and G75 digital wireless systems - the first wireless systems on the planet to do more than simply replace a cable. 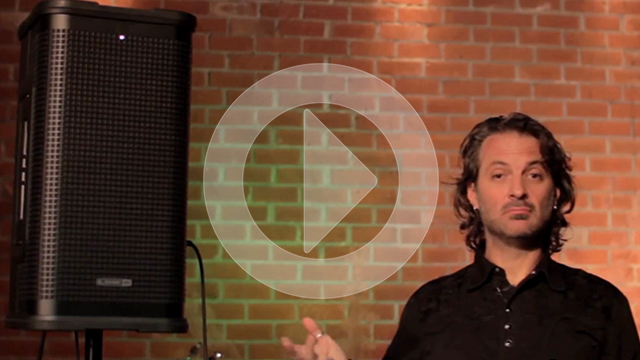 Join Sean as he shows you how the amazing features in the new Relay wireless can make your onstage life easier. 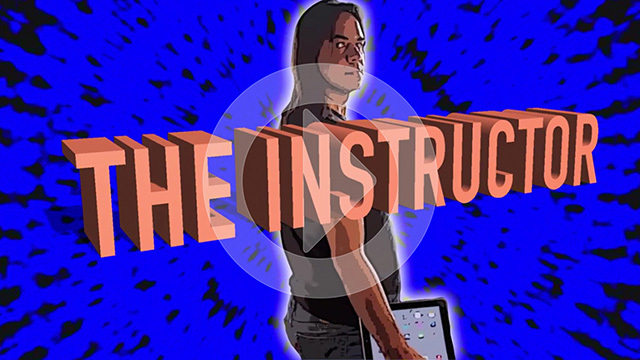 Come join The Publisher, The Tweaker and The Instructor as they show you how the Line 6 AMPLIFi guitar amp can connect guitarists from all over the globe, allowing them to create, share and tweak guitar tones from anywhere they happen to be. 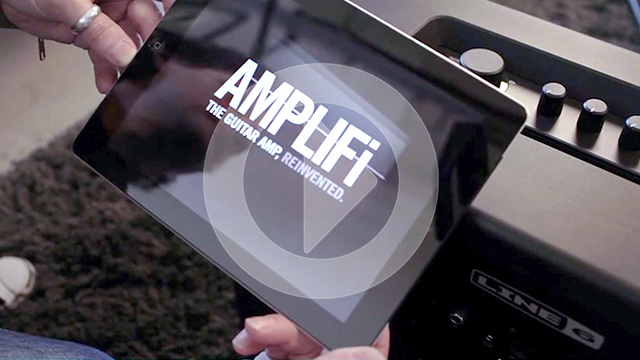 In this new video, you'll discover how AMPLIFi helps you dial up amazing guitar tones faster than ever. 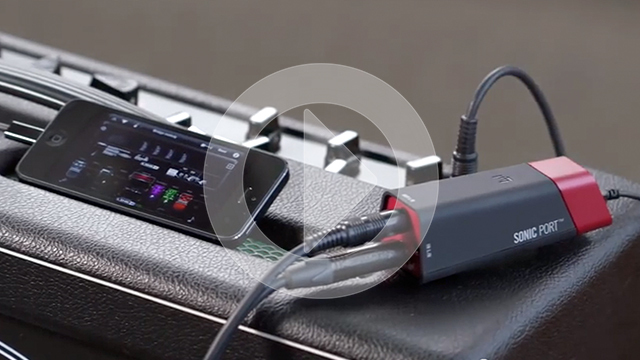 Featuring innovative Line 6 tone-matching technology, the AMPLIFi Remote app for iOS syncs to your music library and provides matching tone selections via the cloud. With AMPLIFi, you can dial up legendary tone-in an instant. 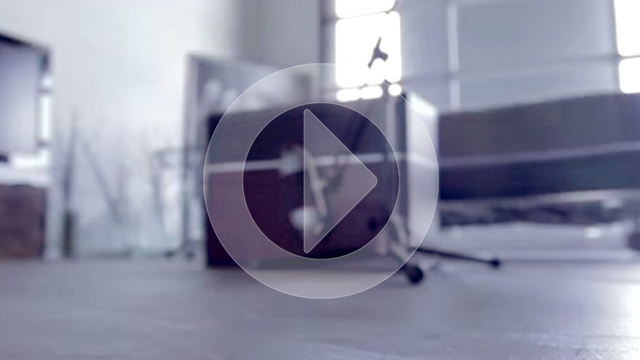 The AMPLIFi Remote app gives users revolutionary control over every aspect of the hardware. 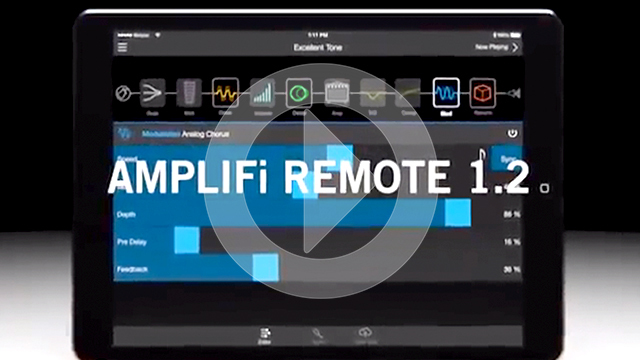 Join Sean Halley as he takes you through the AMPLIFi Remote app in depth, featuring tone matching and searching, patch creation and saving, and tone publishing and sharing. 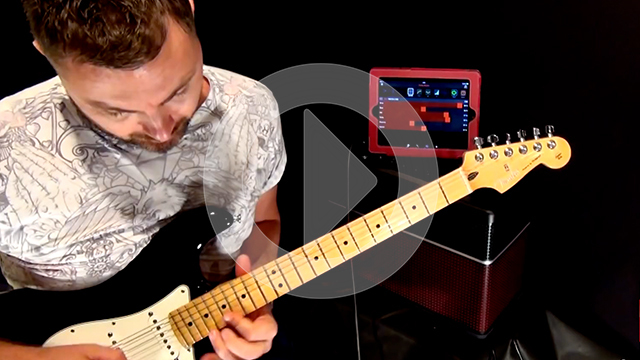 The AMPLIFi 75 and 150 guitar amps can be connected to an FBV foot controller for individual control of patches and effects modules – join Sean Halley as he sets up an AMPLIFi 150 guitar system with an FBV Shortboard MKII and takes it for a spin. Five tuning changes in one song? Instrument changes mid riff? As guitarist for 12 Foot Ninja, this is Stevic MacKay’s reality. 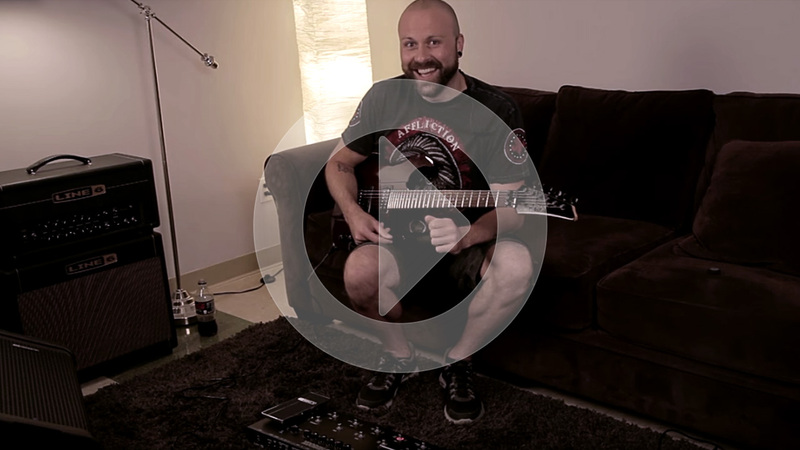 See how James Tyler Variax enables Stevic to bring a collection of guitars onto the stage, instantly access custom tunings, and create tone impossible with other guitars—all with one instrument. 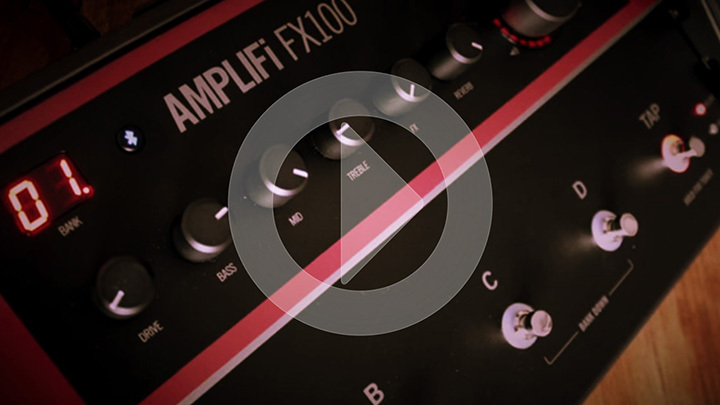 The FX100 takes all of the power and creativity of the AMPLIFi guitar amp family and puts it in a portable multi-effects pedal. 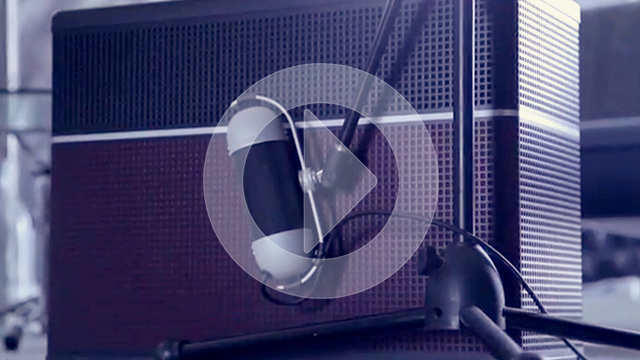 Join Paul Hindmarsh as he takes you through the process of creating sounds for a studio recording. Woweee says the Captain!! 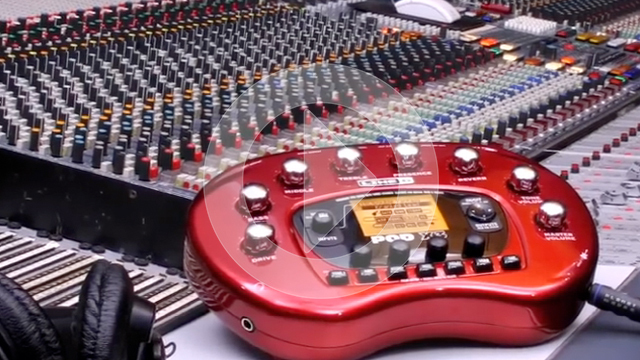 This is probably the coolest guitar product that we've seen so far in 2014. 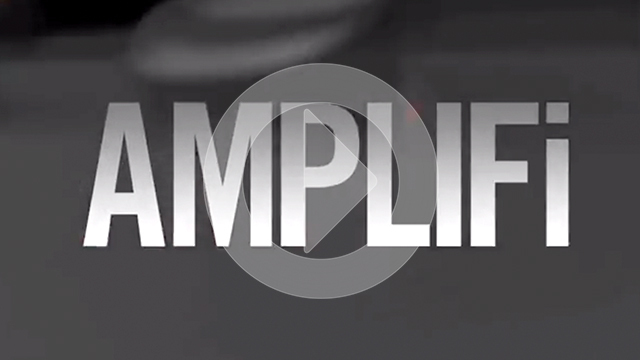 Line 6 Amplifi is a multi purpose amp for todays guitarist. Firstly, It's a super high quality (& loud!) blue tooth music player - everything you hear in this video is the amp mic'ed up in stereo - nothing is played direct into the interface - it really does sound fantastic. Secondly this is a Pod XT loaded guitar amplifier (75 or 150w version), with all the editing done via an iPhone or iPad (the App you need is a free download), or from the knobs on the amp (although your tone options are more limited without the App). And thirdly, this is the ultimate jam machine, where the Line 6 App actually suggests preset guitar amp & FX tones that match the track you're playing (requires wifi to do this). 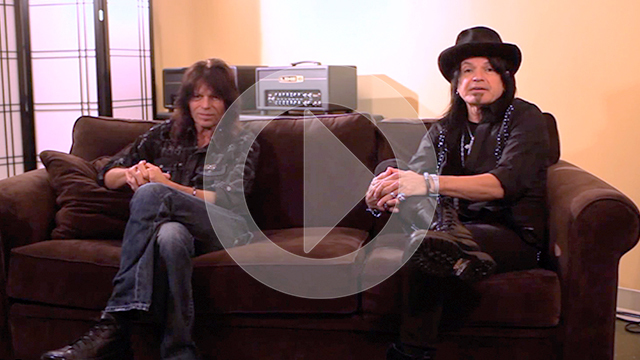 Hope you enjoy the video & we really urge you to check these amps out - every guitar player will get plenty out of these. Even the look of the product has been designed so that it doesn't look out of place in your living room. 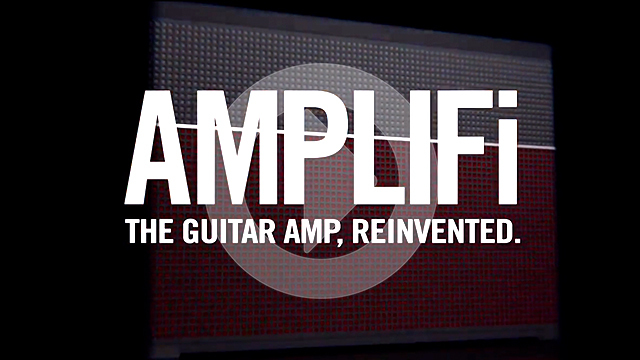 The revolutionary new Line 6 AMPLIFi range of guitar amplifiers is perfect as a home amp but would be great on stage too! With a built in Bluetooth music playback system and an iOS app with total control over tonality and effects, this inconspicuous looking amp certainly packs a punch. 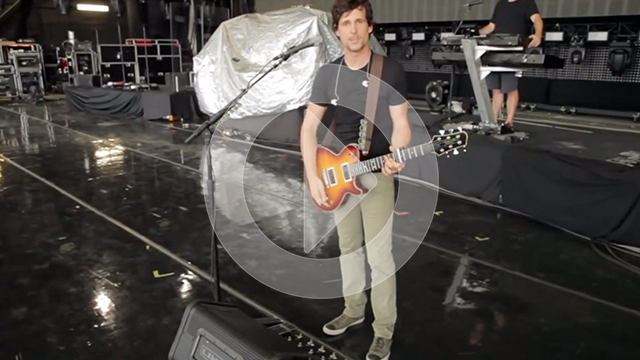 While touring with Kelly Clarkson, guitarist Cory Churko replaced his traditional amp with a Line 6 FRX (full-range experience) system. 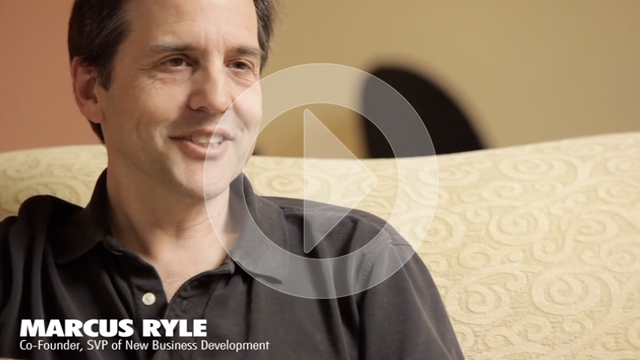 See why he describes the combination of a James Tyler Variax guitar, POD HD500X multi-effect and StageSource loudspeaker as "a formula for success." 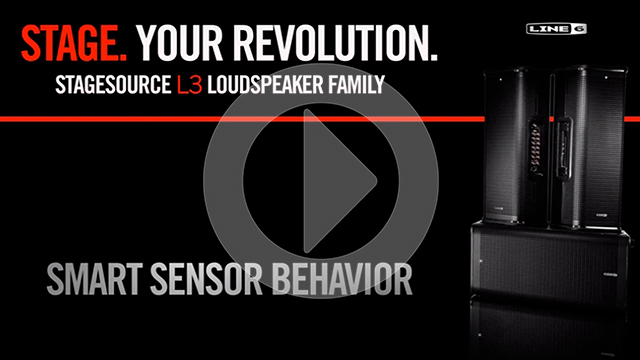 See how StageSource L2t helps singer-songwriters sound better—faster—than any other loudspeaker in its class. 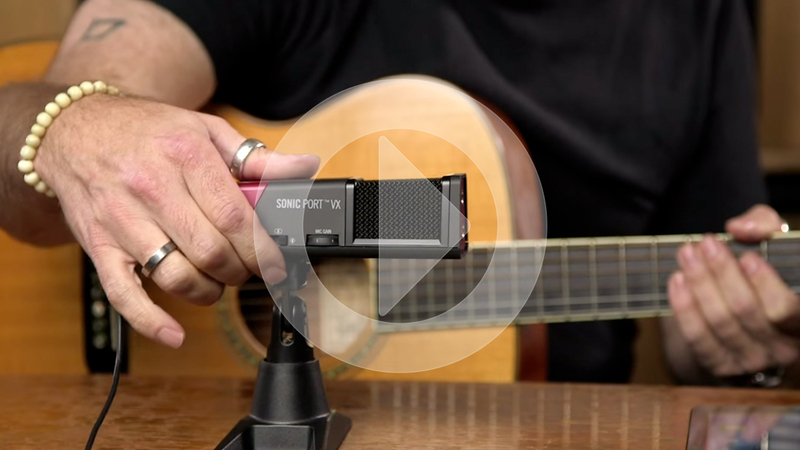 From acoustic guitar body resonance modeling that makes your guitar sound amazing, to built-in vocal effects and feedback suppression, StageSource makes it easy to take control of your sound. 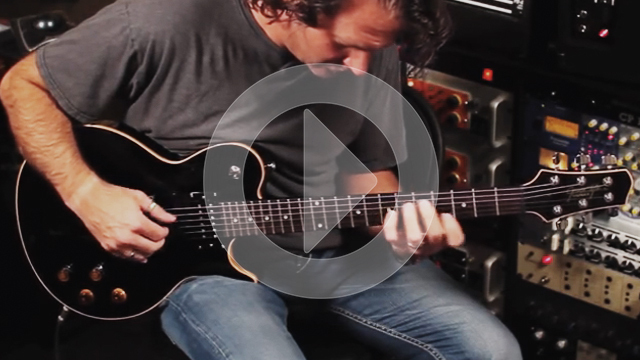 Line 6's Sean Halley demonstrates the new HD instruments in the Variax HD upgrade—now available for all James Tyler Variax guitars. Rebuilt from the ground up, these HD instruments provide unprecedented sonic character and a more natural playing experience. And they're also the starting point for creating unique instruments with the all-new Workbench HD software. 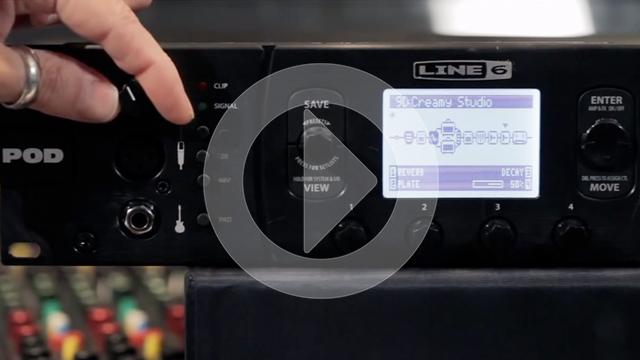 Line 6 and WHAT'S NEXT are bringing cutting-edge ideas and technologies to musicians around the world. 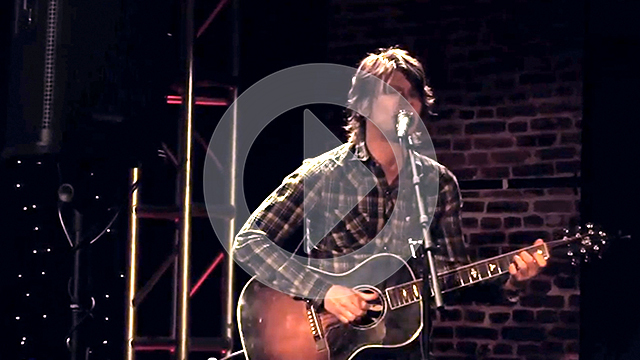 Watch this video to see Jim Boggia performing with StageSource speakers, then come see him live at WHAT'S NEXT Los Angeles on August 10th! Register for free at http://www.whats-next-music.com. 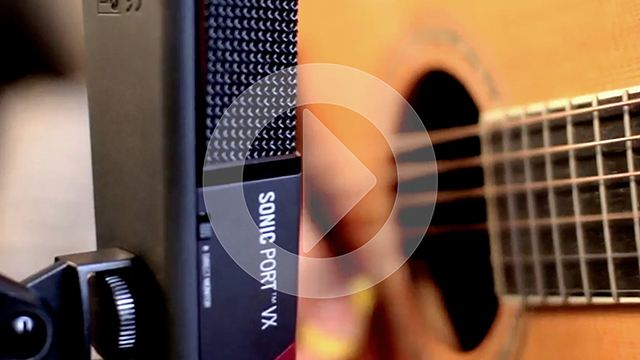 Sonic Port gives you best-in-class audio quality and inspiring guitar tones on your iOS device. You can jam with the tones of your favorite artists, connect keyboards and speakers to create your mobile recording studio, or plug into your amp and play live. 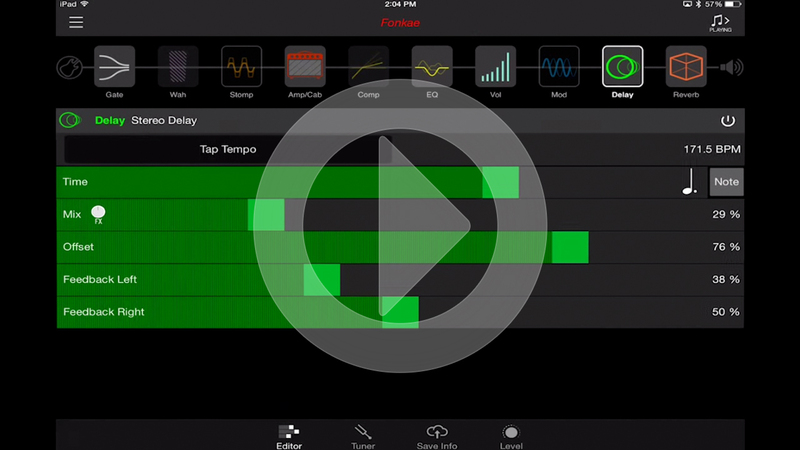 It's perfect for GarageBand, Jammit, Line 6 Mobile POD and other CoreAudio apps. POD HD500X gives you even more power to define your sound. It's the ultimate tone palette, whether you want to re-create classics or go somewhere new. Imagine going from "Brown Sugar" in Open G to "Kashmir" in DADGAD with the twist of a knob. JTV-59P provides immediate access to 11 alternate tunings, so you can stay in the creative moment instead of spending quality time with your tuner. You can mix and match any tuning with any instrument—and also create your own tunings on the fly with Virtual Capo. It's easy to save your custom tunings, either to the open Model slot on the Alt Tune knob, or to one of the other alternate tuning slots. 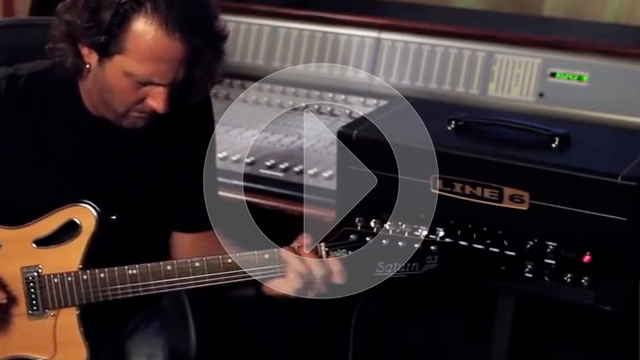 Spineshank guitarist Mike Sarkisyan was known for using a lot of guitars and tunings in the studio, which made his tracks nearly impossible to replicate live—until he discovered the Line 6 JTV-89 guitar and POD HD Pro multi-effect. 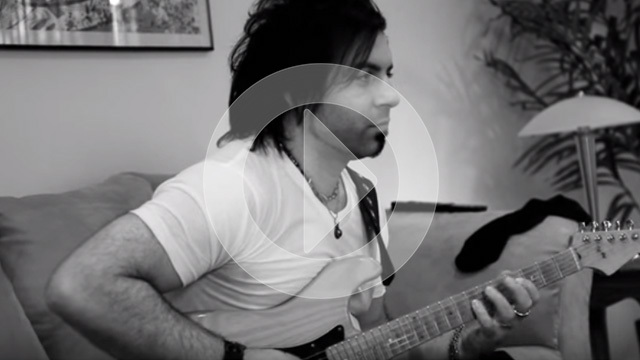 See Sarkisyan demonstrate how to get the sounds of the band's latest album—from high-gain electrics to pristine acoustics and sitar sounds. With the ability to dial in any drop tuning—as much as a whole octave down—plus an extreme range of instruments, JTV-89F shatters the limitations of traditional guitars. 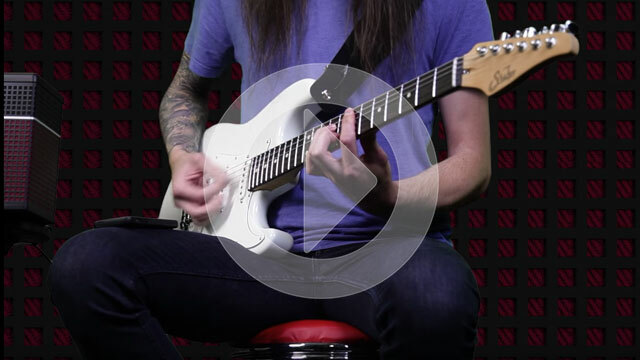 Check out the Floyd Rose® licensed double-locking tremolo by Graph Tech, see how to go from Drop D to Drop Bb in less than a second, and more. 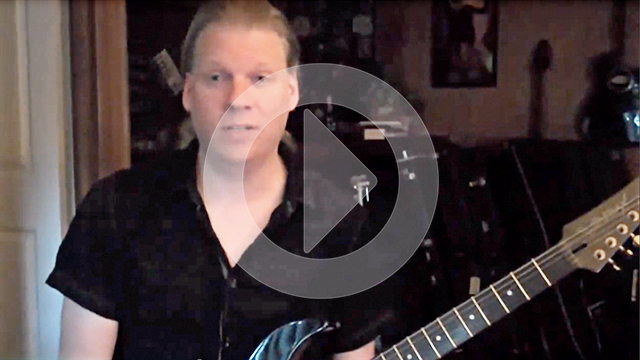 Solo artist and former Nevermore guitarist Jeff Loomis recently needed a new sound in the studio, and found the answer with his JTV-89. Using the unique sitar sound, Jeff recorded two takes of a haunting, eerie riff—one using a pick, the other using an Ebow. 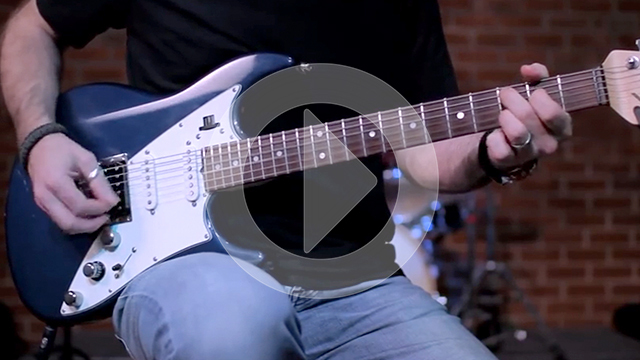 Join Sean Halley as he creates an even wider range of guitar parts using the Line 6 Dream Rig—the only guitar system that can instantly become virtually any rig. The video also includes settings and links to Sean's sounds for the James Tyler Variax guitar, DT-series amp and POD HD500 multi-effect. FYI - as mentioned in the comments, the patch for "Sweetness" was lost. However, farther down in the comments are some suggestions for re-creating it. Unlike a traditional P.A. 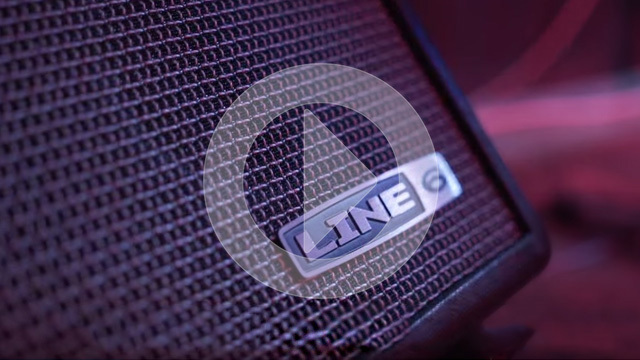 system, the Line 6 live sound ecosystem is smart enough to know the state of every component—from monitor sends, EQs and levels, to channel effects and more. 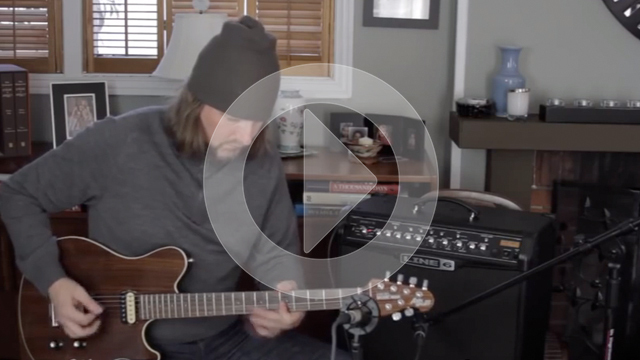 Line 6's Sean Halley demonstrates how to save these hardware configurations and parameters to Setups and Scenes so you can recall them in an instant. 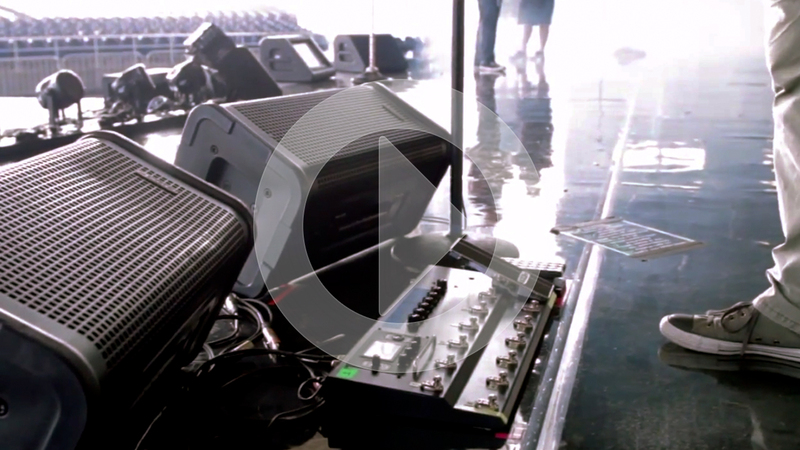 If you regularly play the same venues and/or songs, Scenes and Setups will prove a lifesaver. 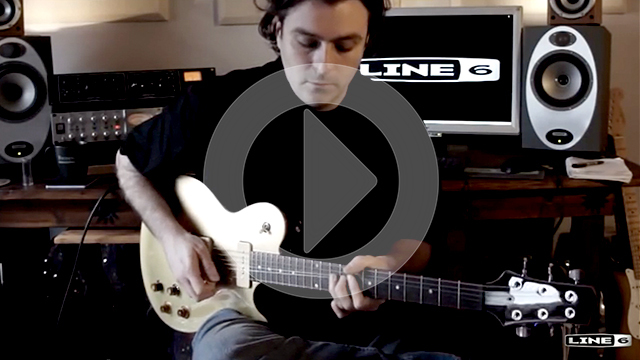 Line 6's Sean Halley demonstrates how the built-in Auto Trim and Trim Tracking features eliminate the challenge of setting mic pre levels. 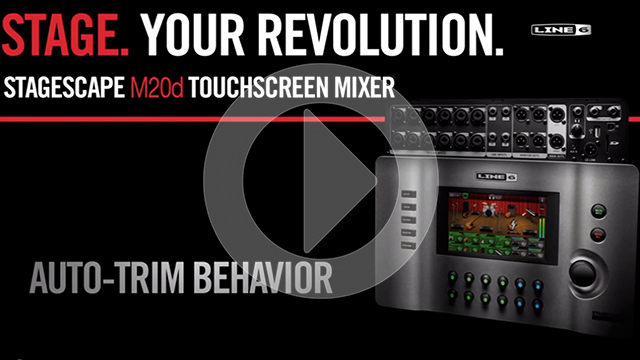 Simply enable Auto Trim and StageScape M20d will listen to the incoming signals and set the values for you. The Trim Tracking feature keeps monitoring the signals and turns down the levels if they get too hot—so you can focus on your performance. With auto-sensing jacks and an intuitive touchscreen environment, StageScape M20d makes it incredibly easy to connect, route and run monitors. 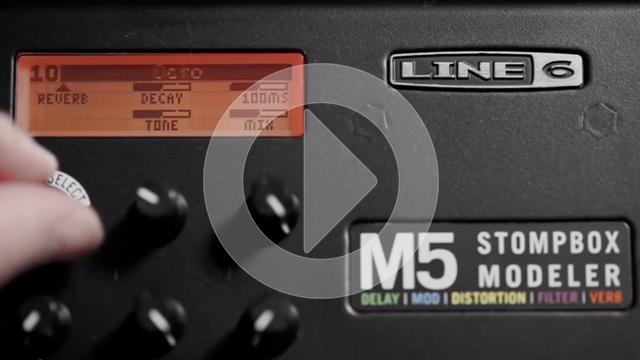 Line 6's Sean Halley demonstrates how to use the graphical interface and built-in presets to quickly create different kinds of monitor mixes. If you're not using StageScape M20d with Line 6 StageSource loudspeakers, you're missing out on the ability to form an intelligent network and recall system settings with the press of a button. When you connect StageSource loudspeakers digitally via L6 LINK, the mixer recognizes the number of speakers and their function. And if you need to switch things up, it couldn't be easier—let Sean Halley show you how. 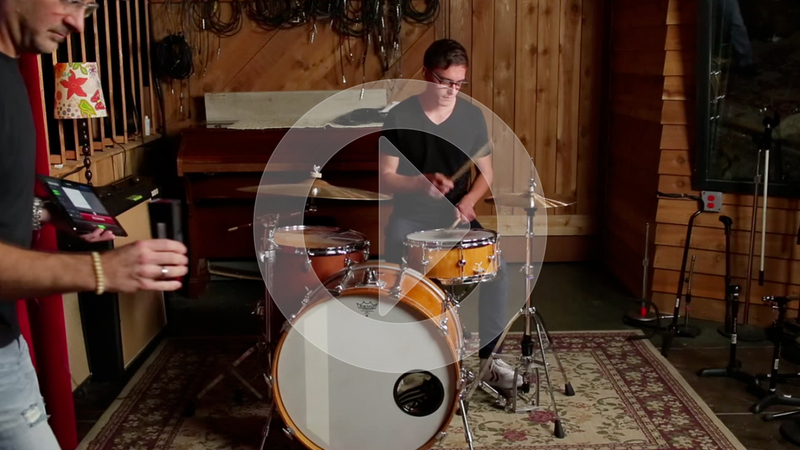 Gone are the days of lugging a ton of extra gear to record your gig. 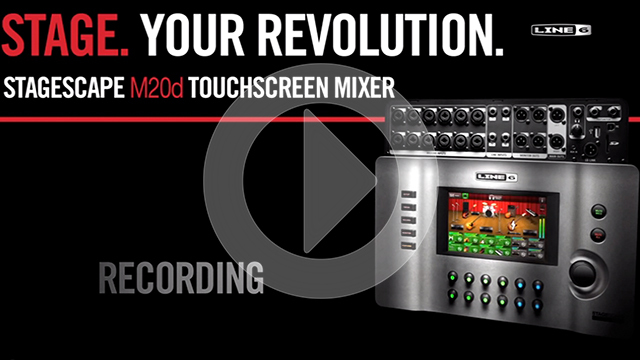 StageScape M20d provides easy multi-channel recording, with or without a computer. Line 6's Sean Halley shows you how to make sound check a breeze by recording up to 20 seconds to internal memory—then explains how to record longer sessions to SD card, USB drive or your computer. 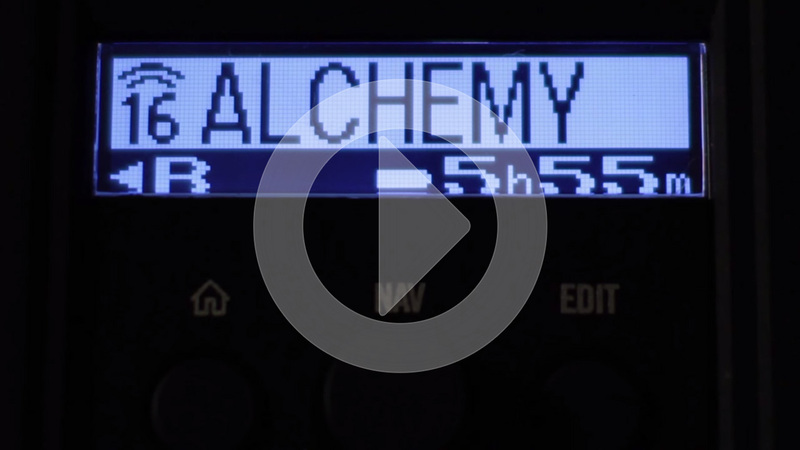 In part two of the Channel Strip series, Line 6's Sean Halley demonstrates the power of the built-in Dynamics Processors. 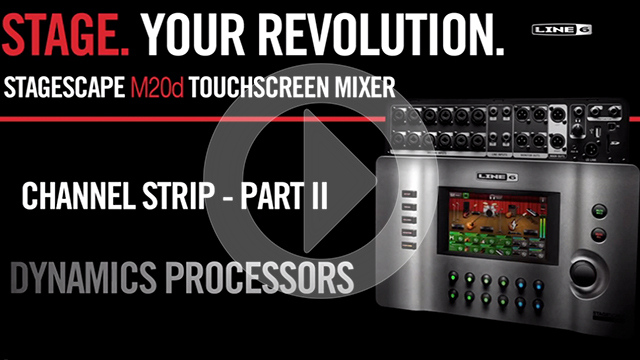 Explore the DeEsser, Dynamic Multi-band Compressor and more—and see how these professional tools deliver unique functionality you won't find in any other mixer. 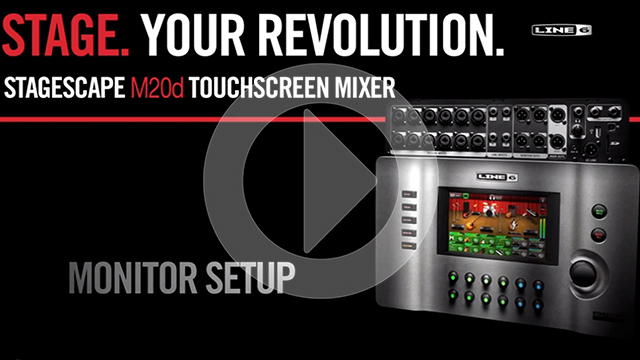 Let Line 6's Sean Halley show you how StageScape M20d can be your virtual live sound engineer. 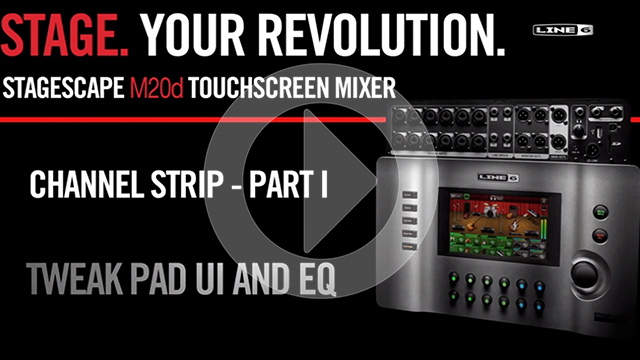 In the first of two videos on the Channel Strip, Sean explores the Tweak Pad user interface, EQs and four master effects engines. See how the intuitive interface features musical descriptions that make it easy to get the sound you're looking for, then learn how to customize your mix with Deep Edit mode—and more. If you've ever wanted to control the front-of-house mix from the audience or adjust a monitor mix from the stage, StageScape M20d makes your dream a reality. 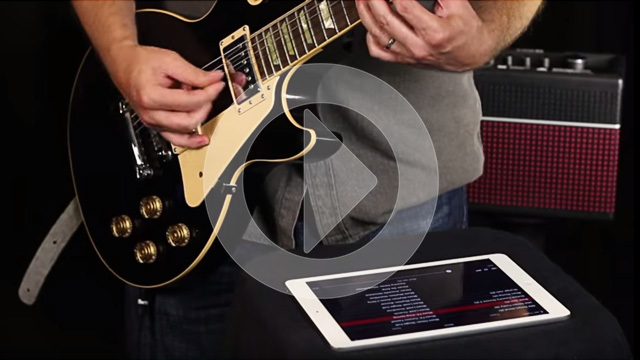 Line 6's Sean Halley demonstrates how you can quickly and easily take full control over all mixer functions via an iPad®, compatible Wi-Fi adaptor and free StageScape Remote app. StageScape M20d is designed to empower musicians to get great live sound—without an engineer. Let Sean Halley introduce you to the world's first smart mixing system, complete with a 7-inch touchscreen interface, powerful DSP technology, multi-channel recording, auto-sensing mic inputs, remote control via iPad® and much more. 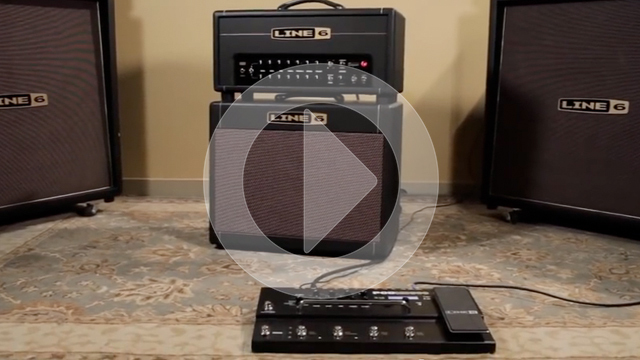 See how the Line 6 Dream Rig—the combination of a James Tyler Variax guitar, DT-series amp and POD HD500 (or HD Pro)—can be the answer to any musical question. 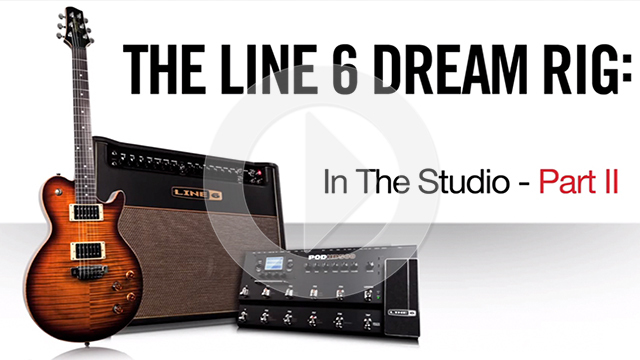 Join Line 6's Sean Halley as he uses the Dream Rig to create multiple guitar parts for tracks of different styles. 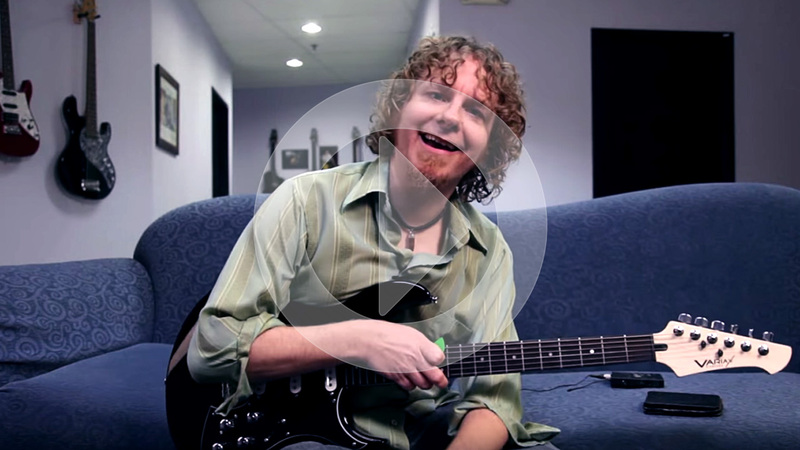 The video also includes settings and links to Sean's sounds for the James Tyler Variax, DT-series amp and POD HD500. 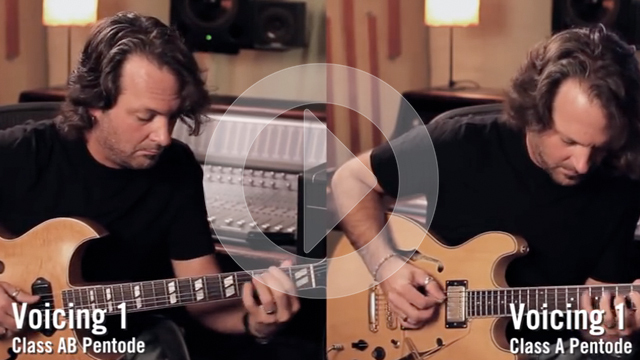 Join Line 6's Sean Halley as he shares more of his conversation with virtuoso guitarist Oz Noy. 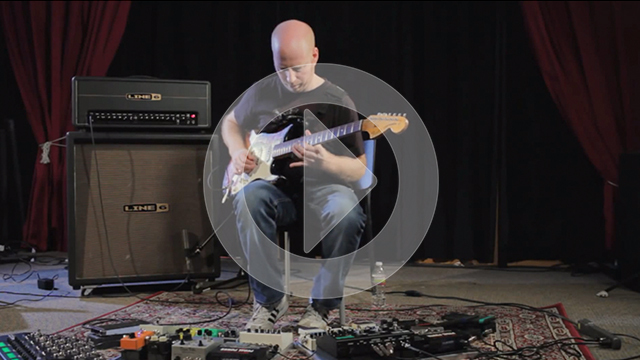 See how Noy sets up delays, cascades effects and uses expression pedals; hear how he discovered his signature tremolo trick; and learn how he creates new sounds by using effects in innovative ways. 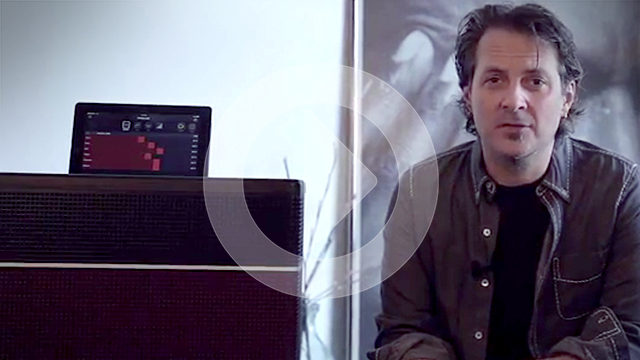 Blues player Michael Williams takes a break from touring his latest album, Fire Red, to talk technology with Line 6. 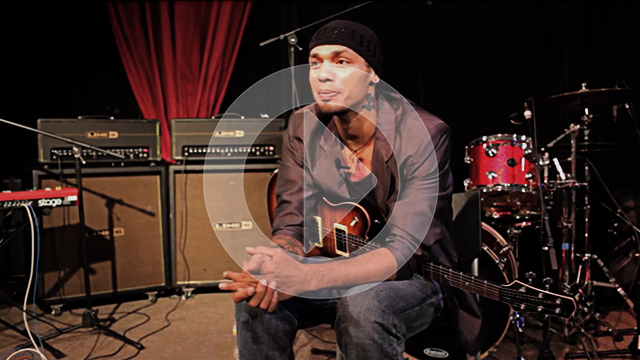 See what makes James Tyler Variax "everything [he's] ever wanted in a guitar"—and watch him perform live with JTV-59 and Line 6 DT-series amps. 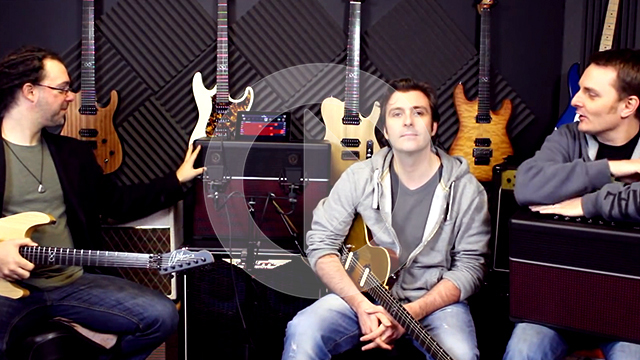 Virtuoso guitarist Oz Noy sits down with Line 6¹s Sean Halley to discuss his innovative use of effects. Hear why Noy chooses the Line 6 DT50 amp when performing live and why he can't get his unique sound without an M9 or M13 effects pedal board. 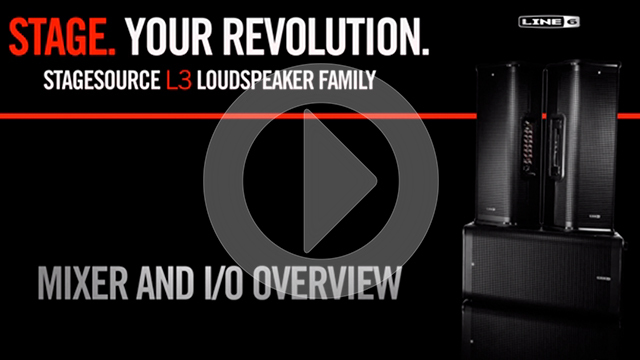 Thanks to a full-featured onboard mixer, you can use a single StageSource™ L3t loudspeaker as a standalone P.A. system. 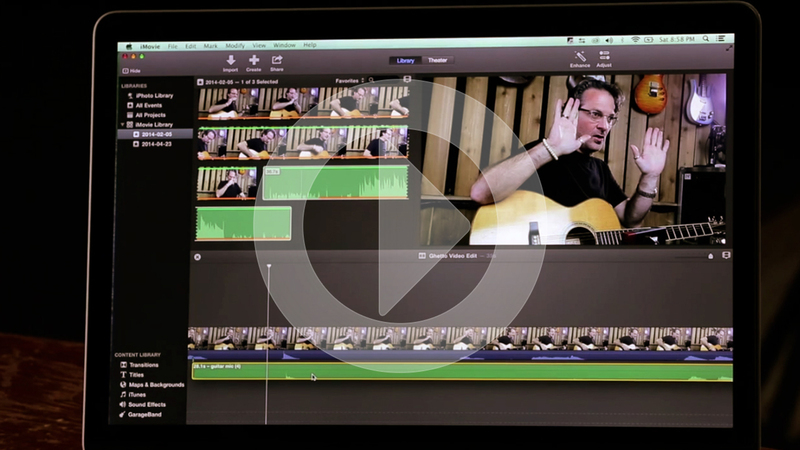 Explore the I/O, built-in effects, acoustic guitar modeling and more. 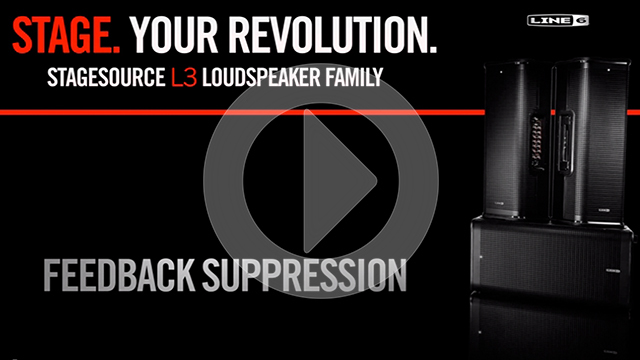 Unlike traditional loudspeakers that can only do one thing, StageSource™ is the first speaker series that can be whatever you need—small P.A., large P.A., backline instrument amplification, stage monitor and more. StageSource™ loudspeakers are designed to help you sound better—faster—when playing live. StageSource speakers know whether they're standing upright, on their side or mounted on a pole—and automatically configure for the task at hand. With StageSource™ speakers, you'll never worry about feedback again. Built-in 12-band feedback suppression technology identifies and removes problem frequencies—so you can focus on your performance. The Dream Rig—comprised of a James Tyler® Variax® guitar, POD® HD500 multi-effects and DT-series amp—is designed to inspire your creativity. For example, Sean Halley shows you how to layer an effected sitar sound on top of an electric guitar to create a synth-like pad. Then see how easy it is to change the pitch of the sitar to create a harmony between the electric guitar and sitar sounds. 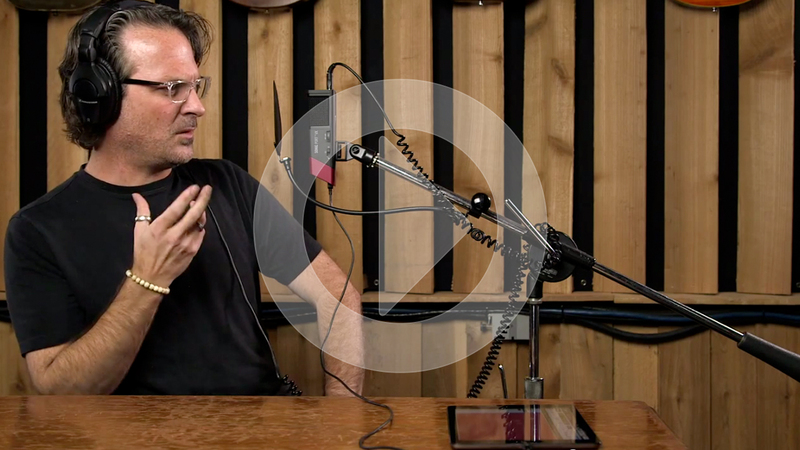 Go behind the scenes with Garbage's Butch Vig, Duke Erikson, Steve Marker, Eric Avery and engineer Billy Bush—and hear how Line 6 gear plays a key role in their sound. 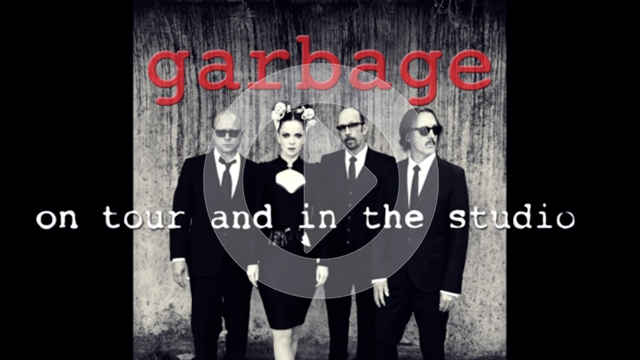 From recording Not Your Kind of People with POD HD Pro, to touring with James Tyler Variax guitars and POD HD Pro multi-effects, Line 6 helps Garbage get a huge range of guitar and bass tones, and consistently sound great. 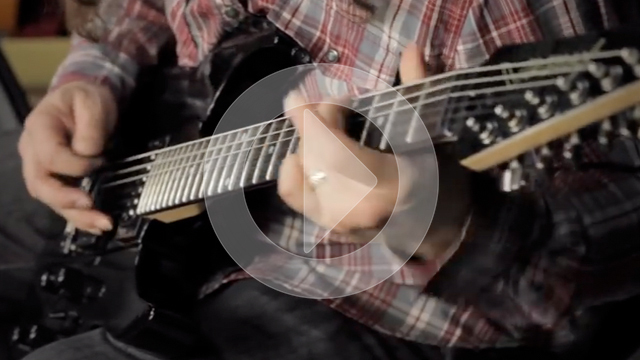 Check out the first in a series of tips and tricks on the Line 6 Dream Rig—the combination of a James Tyler® Variax® guitar, POD® HD500 multi-effects and DT-series amp. 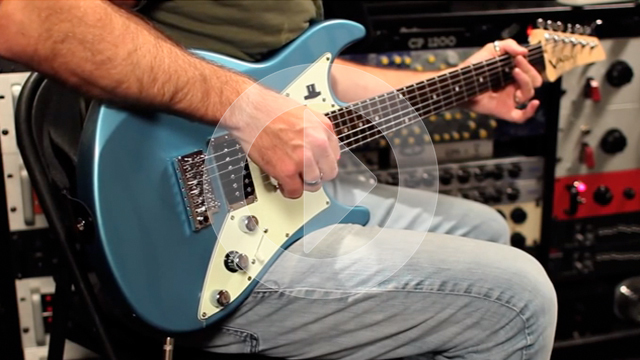 Let Sean Halley show you how to connect the components, split the signal path from your James Tyler Variax guitar, and then process the two signals separately to create unique sounds. See how the free v2.0 firmware update dramatically expands the sonic palette of the POD® HD500, POD HD and POD HD Pro multi-effects processors—and enhances integration with James Tyler® Variax® guitars. 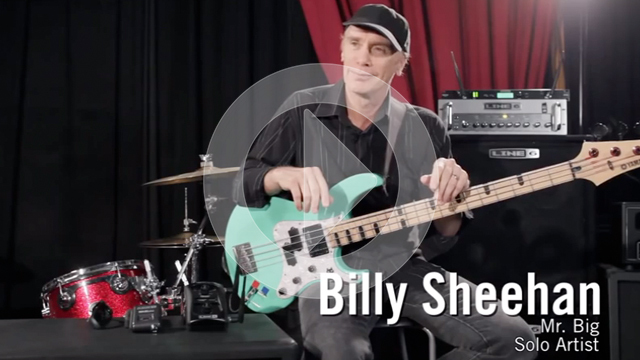 Check out the new amps (including the first-ever HD bass amp model), mic models and more. 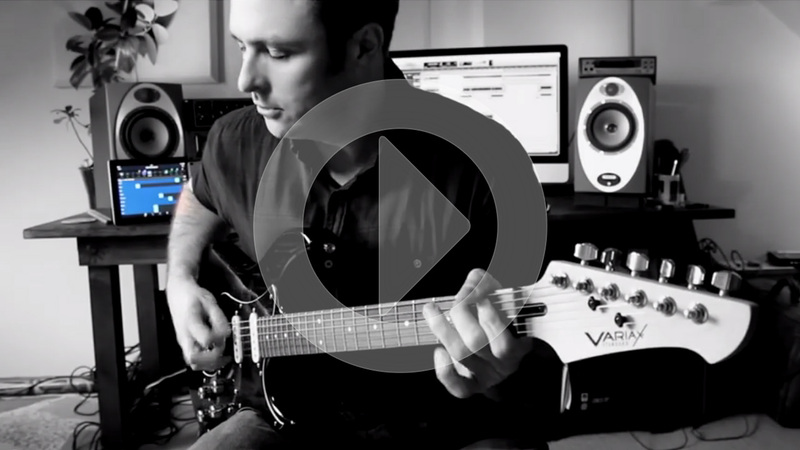 Sean Halley demonstrates some of the incredible versatility of the new James Tyler Variax®. 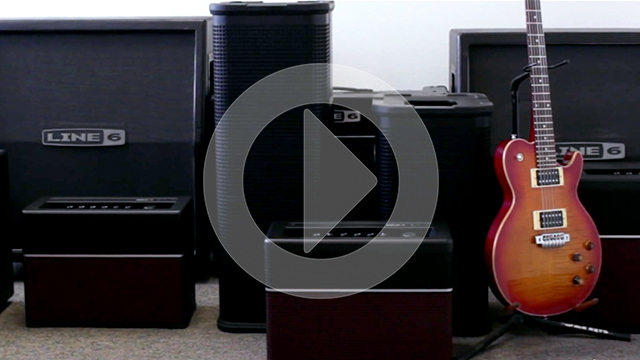 All JTVs come loaded with 28 electric and acoustic guitar models and 11 alt tunings saved to the guitar. 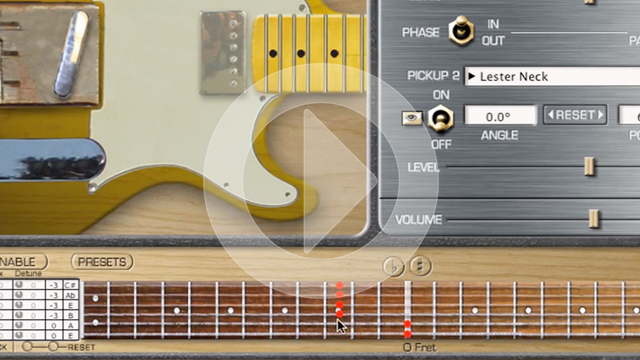 Free Variax® Workbench™ software is your virtual guitar workbench, with 28 guitar body models (solid-body, semi-hollow, or hollow), which can be mixed and matched with 17 neck and bridge pickup models (single-coil or humbucker). More sound samples! http://tylervariax.com/sounds.php Find a dealer near you: http://line6.com/dealers/?product=JTV Notes: All sounds were recorded in a direct wet/mic'd dry configuration. The guitar went into a POD® HD500, and afterward the XLR outputs of the HD500 were sent to a pair of homebrew Neve® mic preamps. 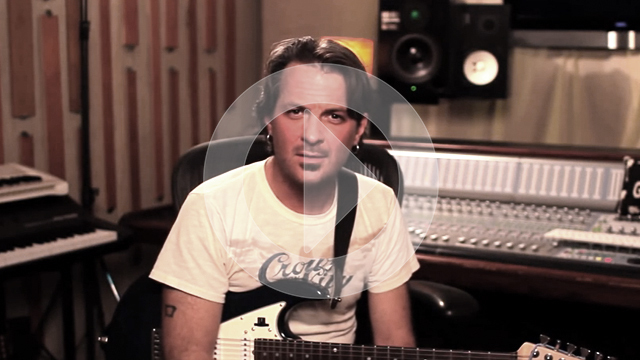 The preamp outputs were sent into a new AVID HD IO audio interface, and on into Pro Tools® HD. The HD500 was also connected to a DT25™ head over L6 Link™. Only the dry preamp signal was sent to the DT25, which was sent out of an older VHT 4x12 cabinet loaded with Celestion® Vintage 30's, and mic'd on the bottom with an AEA R92 ribbon mic. The mic went into an EMI REDD47 tube mic preamp, then into the AVID HD IO, and then into Pro Tools® HD. No effects were added in post after recording -- all effects came live from the HD500, and were mixed with the mic'd dry cabinet signal. The exception to this occurred in the case of the acoustic guitar samples, where only the direct feed from the HD500 was used, with no amp modeling enabled. Amps used were custom-built on the fly, mixing and matching amp parts using the preamp and tone stack from the HD500, and the variable tube power amp section on the DT25 head. 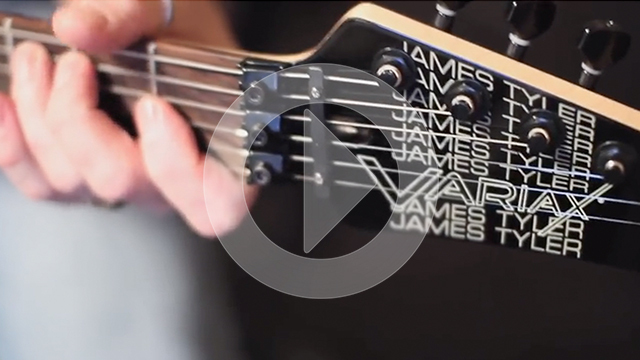 Vintage solid body electric models are explored using the new James Tyler Variax®. More sound samples! http://tylervariax.com/sounds.php Find a dealer near you: http://line6.com/dealers/?product=JTV Notes: All sounds were recorded in a direct wet/mic'd dry configuration. The guitar went into a POD® HD500, and afterward the XLR outputs of the HD500 were sent to a pair of homebrew Neve® mic preamps. The preamp outputs were sent into a new AVID HD IO audio interface, and on into Pro Tools® HD. The HD500 was also connected to a DT25™ head over L6 Link™. Only the dry preamp signal was sent to the DT25, which was sent out of an older VHT 4x12 cabinet loaded with Celestion® Vintage 30's, and mic'd on the bottom with an AEA R92 ribbon mic. The mic went into an EMI REDD47 tube mic preamp, then into the AVID HD IO, and then into Pro Tools® HD. No effects were added in post after recording -- all effects came live from the HD500, and were mixed with the mic'd dry cabinet signal. The exception to this occurred in the case of the acoustic guitar samples, where only the direct feed from the HD500 was used, with no amp modeling enabled. Amps used were custom-built on the fly, mixing and matching amp parts using the preamp and tone stack from the HD500, and the variable tube power amp section on the DT25 head. 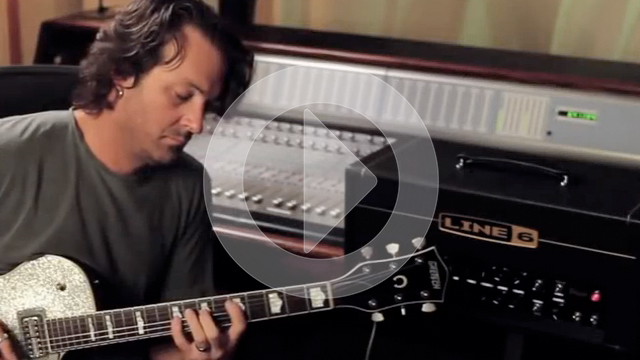 Vintage semi-hollow body models are explored using the new James Tyler Variax®. More sound samples! http://tylervariax.com/sounds.php Find a dealer near you: http://line6.com/dealers/?product=JTV Notes: All sounds were recorded in a direct wet/mic'd dry configuration. The guitar went into a POD® HD500, and afterward the XLR outputs of the HD500 were sent to a pair of homebrew Neve® mic preamps. The preamp outputs were sent into a new AVID HD IO audio interface, and on into Pro Tools® HD. The HD500 was also connected to a DT25™ head over L6 Link™. Only the dry preamp signal was sent to the DT25, which was sent out of an older VHT 4x12 cabinet loaded with Celestion® Vintage 30's, and mic'd on the bottom with an AEA R92 ribbon mic. The mic went into an EMI REDD47 tube mic preamp, then into the AVID HD IO, and then into Pro Tools® HD. No effects were added in post after recording -- all effects came live from the HD500, and were mixed with the mic'd dry cabinet signal. The exception to this occurred in the case of the acoustic guitar samples, where only the direct feed from the HD500 was used, with no amp modeling enabled. Amps used were custom-built on the fly, mixing and matching amp parts using the preamp and tone stack from the HD500, and the variable tube power amp section on the DT25 head. Vintage acoustic and resonator models are explored using the new James Tyler Variax®. More sound samples! http://tylervariax.com/sounds.php Find a dealer near you: http://line6.com/dealers/?product=JTV Notes: All sounds were recorded in a direct wet/mic'd dry configuration. The guitar went into a POD® HD500, and afterward the XLR outputs of the HD500 were sent to a pair of homebrew Neve® mic preamps. The preamp outputs were sent into a new AVID HD IO audio interface, and on into Pro Tools® HD. The HD500 was also connected to a DT25™ head over L6 Link™. Only the dry preamp signal was sent to the DT25, which was sent out of an older VHT 4x12 cabinet loaded with Celestion® Vintage 30's, and mic'd on the bottom with an AEA R92 ribbon mic. The mic went into an EMI REDD47 tube mic preamp, then into the AVID HD IO, and then into Pro Tools® HD. No effects were added in post after recording -- all effects came live from the HD500, and were mixed with the mic'd dry cabinet signal. The exception to this occurred in the case of the acoustic guitar samples, where only the direct feed from the HD500 was used, with no amp modeling enabled. Amps used were custom-built on the fly, mixing and matching amp parts using the preamp and tone stack from the HD500, and the variable tube power amp section on the DT25 head. 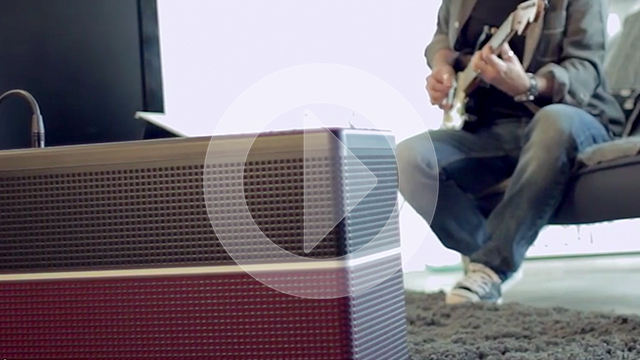 Learn more about DT25™ tube amps at http://line6.com/dt25/ DT25 amplifiers deliver boutique sound and performance through a uniquely versatile tube amp design by Reinhold Bogner and advanced HD modeling technology from Line 6. Reconfigurable analog components and HD modeling allows DT25 to be four boutique tube amps in one capable of producing American cleans, British crunch, class A chime and modern high-gain. Selectable operating class, power tube mode and four Voicings (which offer the perfect combinations of negative feedback loop topology, and HD preamp and tone stack modeling) can dial in classic vintage tones or be shaped into highly customized originals -- and each one drips with boutique tone and touch response. 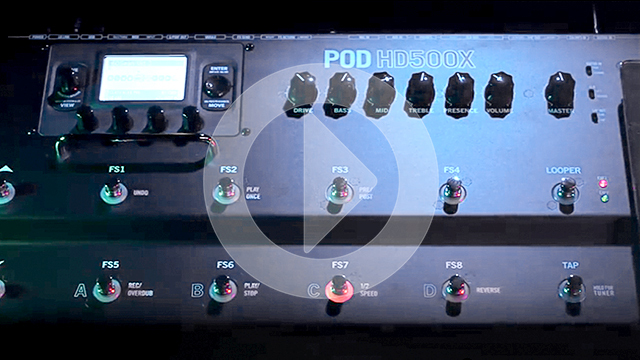 Learn more about POD HD Pro at http://line6.com/podhdpro/ POD® HD Pro from Line 6 is the only rack-mountable multi-effect processor equipped with revolutionary new HD amp modeling technology. It provides the unsurpassed tonal clarity, richness and sublime playability pro guitarists demand. 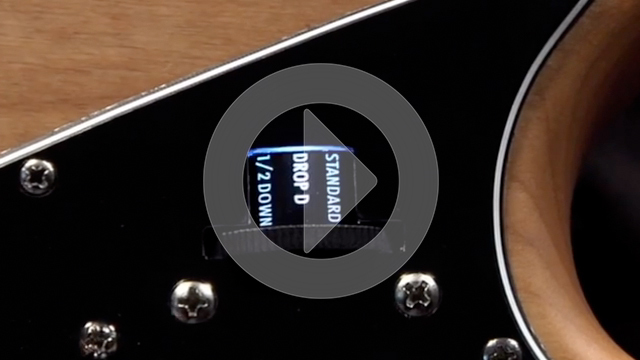 Take a guided tour of POD HD Pro and dig into the 22 HD amp models of the finest vintage, modern and boutique tone machines ever created, the 100+ M-class, the comprehensive analog and digital I/O, and much more. 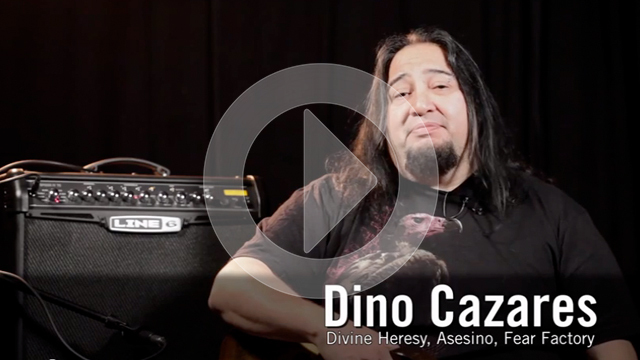 Dino Cazares from the bands Divine Heresy, Asesino, and Fear Factory gives an quick start tutorial of the Spider IV 75 and Up features and functions. 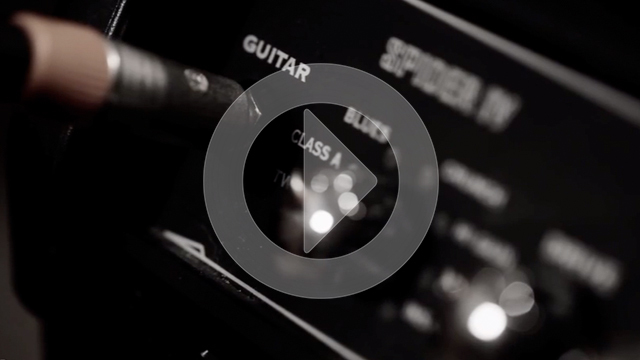 Learn more at http://line6.com/spideriv Learn how to get a Spider IV amp tone based on a classic high-gain, reverb-drenched Van Halen sound. 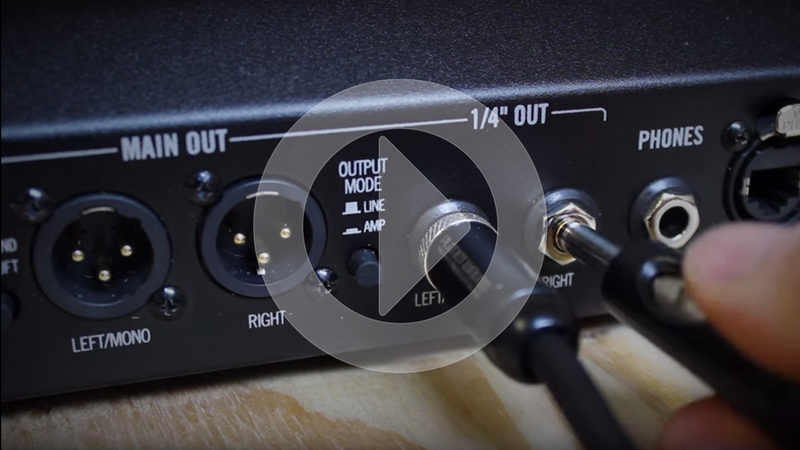 Tal Morris shows you how to dial it in with the latest Spider modeling amplifier from the world leader in modeling technology, Line 6. This video is for educational purposes only. Van Halen does not sponsor or endorse Line 6 or Spider IV products. 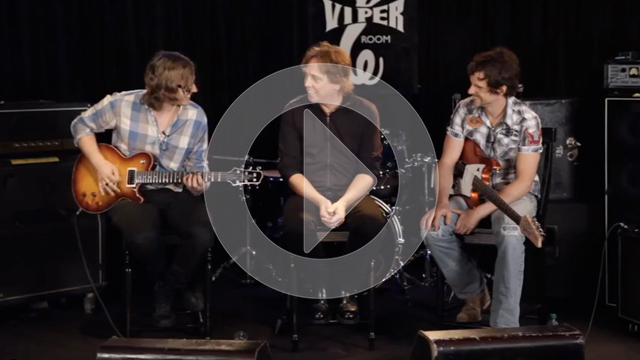 Learn more about JTV-89 and POD HD500 at http://tylervariax.com/ and http://line6.com/podhd In Part 1 of our POD HD Connectivity Series, Doug Doppler shows you how to connect the JTV-89 guitar with POD HD500, combining traditional guitar electronics with modern tone modeling technology. The exclusive Variax Digital Input (VDI) lets you call up tunings and revolutionary amp models from HD500 for massive hands-free control. 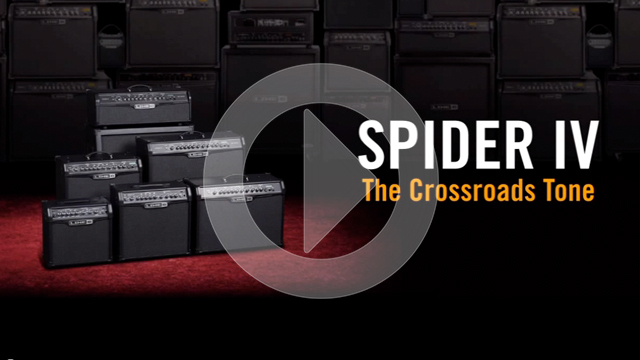 To learn more about Spider® amplifiers, visit http://line6.com/spider/story.html The Spider amplifier family has risen to become the USA's best-selling amp line, with over a million sold and counting. Spider modeling amplifiers debuted in 1999 on the heels of three premium Line 6 amplifiers, AxSys 212, AX2 and Flextone™. The challenge of Spider was to put the high-quality tones and flexibility afforded by the premium amps in smaller, simpler and more affordable packages. The first Spider amps were immediately successful. Spider II was released in 2003 with added functionality, more wattages and speaker configurations, and artist-designed presets. Spider III debuted in 2006, and since its release, no single amplifier has sold more in the US than Spider III 15. Spider IV launched in 2008 to instant success. In fact, last year four of the six Spider IV amps were #1-sellers in their categories. 2008 also saw the release of second-generation Spider Valve™ MkII amps and battery-powered Micro Spider. Today, over 1,000,000 Spider amps are stacked up on arena stages, fired up in studios and cranked up in bedrooms around the world. Spider amps have it all -- clean, crunch, insane and everything in between. 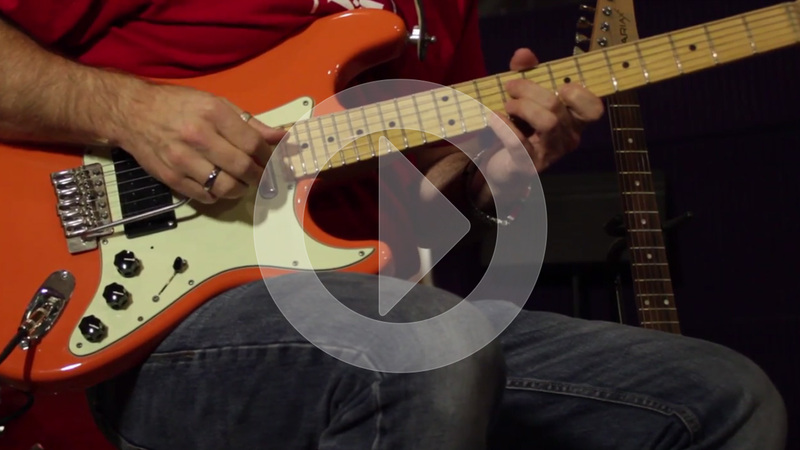 With that many tone choices, you're never limited -- it's about discovering your own sound. Find out more at http://line6.com/podfarm POD Farm 2.5 is the AU/RTAS®/VST® plug-in that delivers POD tone to any DAW and features every model necessary for a pro-sounding recording. 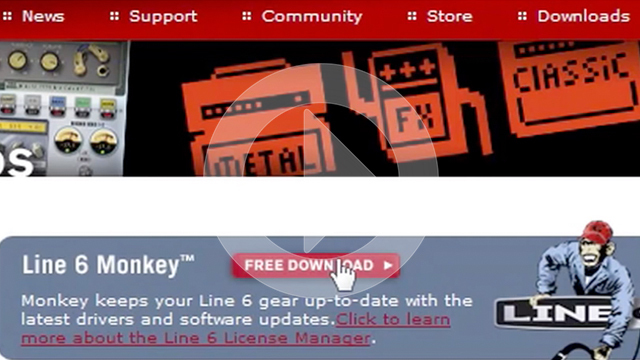 It includes 64-bit support, a free trial version, and stand-alone capability. 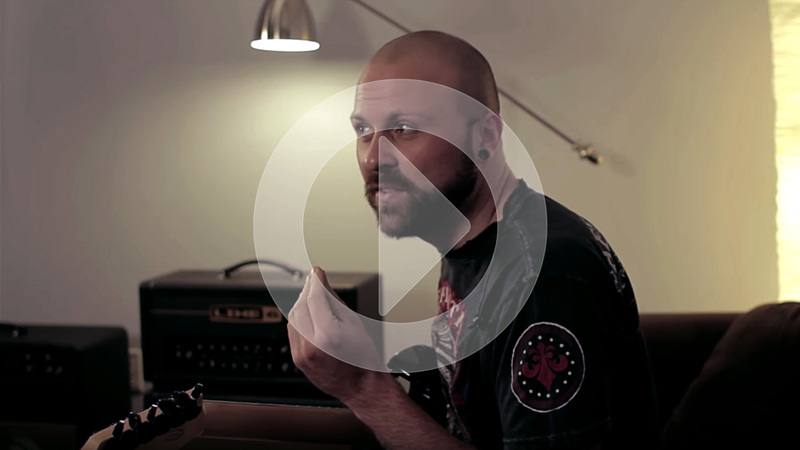 To learn more about M5 Stompbox Modeler visit http://line6.com/m5 Want to hear each of the individual tracks from the video? We've posted them all here http://soundcloud.com/line6/sets/m5-stompbox-modeler-sound/. Feel free to solo each one, download them, remix them and even post a video response with what you created. 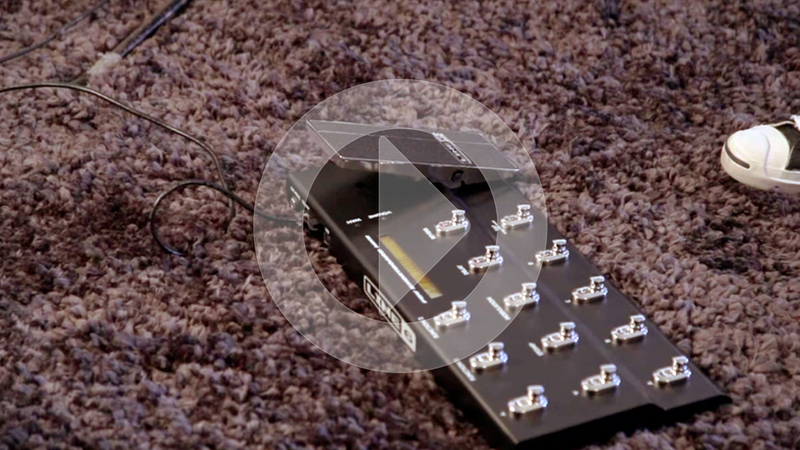 Supercharge your pedal board with a single stompbox! M5 Stompbox Modeler delivers 100+ gain-defying distortions, lush choruses, scintillating reverbs and other expressive effects in a single-pedal-size stompbox. 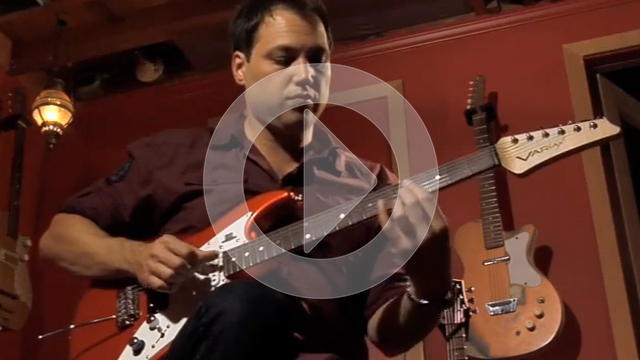 Just like the classic pedals that inspired it, M5 Stompbox Modeler runs one effect at a time. But M5 is also different -- it's designed like a Swiss army knife to carve out sonic creativity one brilliant effect at a time. Dare to inspire and be inspired with its complete collection of modern and vintage effects. 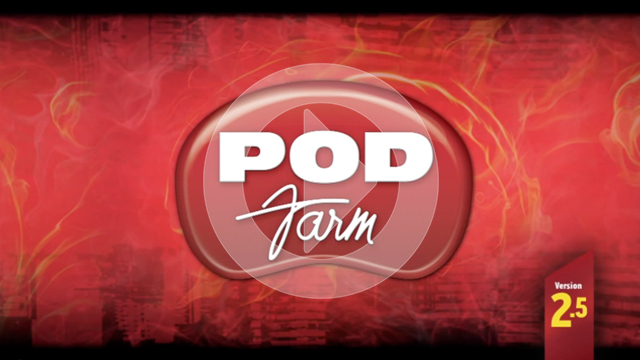 Learn more about POD HD at http://line6.com/podhd/desktop/ POD HD represents a giant leap forward for home recording. It is the only desktop multi-effect to boast 16 state-of-the-art Line 6 HD amp models, 100+ modern and vintage-styled M-class effects and a collection of essential digital and analog ins and outs. 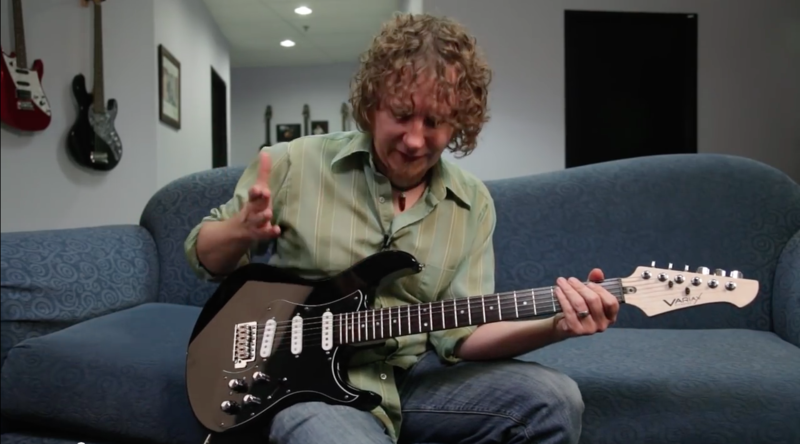 Learn more about James Tyler Variax at http://tylervariax.com Adrian Belew, Steve Howe, John McFee, Cory Churko and other great players discuss Variax guitars, how they started playing them, and their favorite features of the James Tyler Variax. 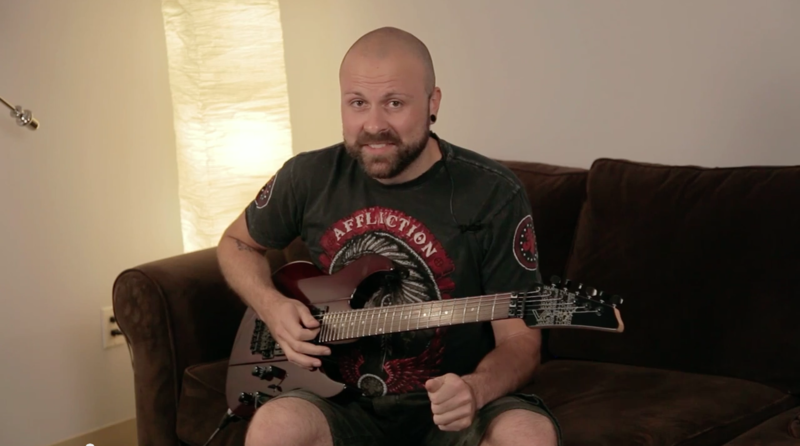 Learn more about James Tyler Variax at http://tylervariax.com You can use any tuning with any of the Variax guitar models in James Tyler Variax, since they are completely independent of one another. 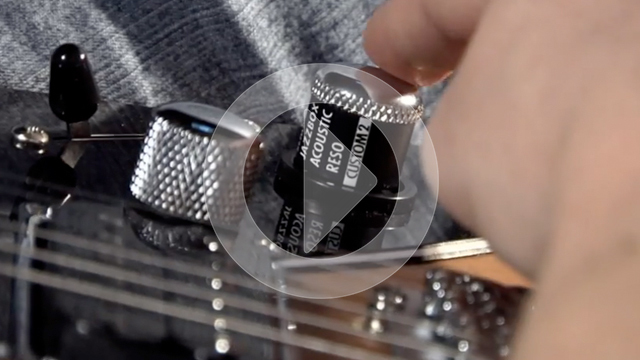 Choose from one of the included alternate tunings or create your own custom tuning with Virtual Capo. 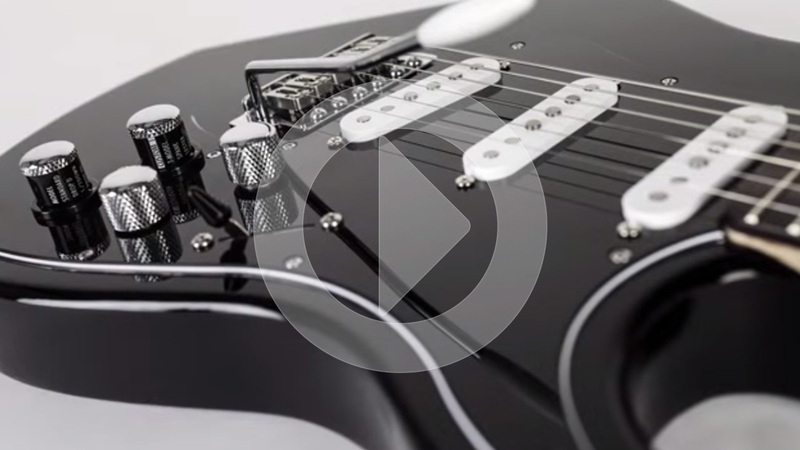 Learn more about James Tyler Variax at http://tylervariax.com You can easily switch back and forth between the Variax modeling and sets of vintage-voiced or high-output PAF-style alnico magnetic pickups on James Tyler Variax guitars. Simply press the modeling knob once to switch. 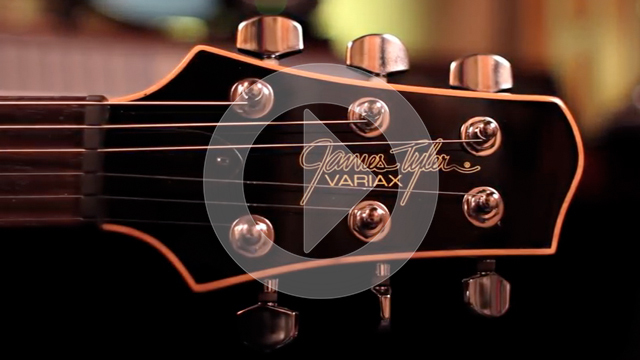 Learn more about James Tyler Variax at http://tylervariax.com James Tyler Variax guitars come pre-loaded with 25 essential guitar models and 11 alternate tunings. If that's not enough, just wait till you get your hands on Variax® Workbench™. 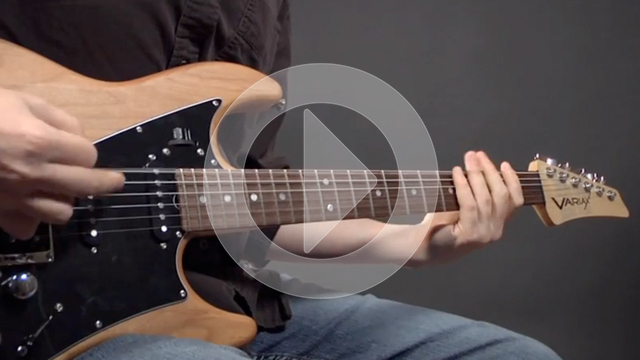 Variax Workbench software is your virtual guitar workbench. Its 28 guitar body models (solid-body, semi-hollow, or hollow) can be mixed and matched with any of its 17 neck and bridge pickup models (single-coil or humbucking). Create truly unique guitar tones, celebrated classics, a stable of alternate tunings, and load them into your James Tyler Variax. Access each one with a twist of the Model of Tune knob. 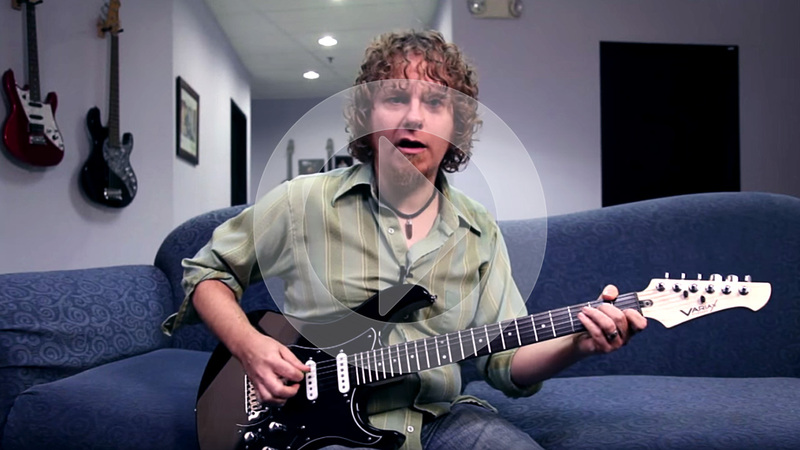 Learn more about James Tyler Variax at http://tylervariax.com Create custom tunings and alternate tunings on the fly, and save them to the Alt Tuning knob, with Virtual Capo on James Tyler Variax. Learn more about James Tyler Variax at http://tylervariax.com James Tyler Variax modeling guitars are revolutionary instruments that offer guitarists unprecedented ranges of tones based on history's most desirable electric and acoustic guitars. All acoustic guitar models samples were recorded direct into ProTools® HD with an Apogee® AD-16X converter though a Chandler TG channel. Post processing was a mixture of the 3 mics with one notch of 3K from the POD Farm™ model of an API® 512c with API® 550b EQ. No changes were made to the mix of the mics, only the level of the mics was changed to "level" the sound samples. They were mixed to closely represent what it sounded like in front of the amps. Sound samples were produced and recorded by Bobby Hartry at Cat Beach, performed by Michael Ripoll (http://michaelripoll.com), and mixed by Rich Renken at Rev4 Studio. Learn more about James Tyler Variax at http://tylervariax.com James Tyler Variax modeling guitars are revolutionary instruments that offer guitarists unprecedented ranges of tones based on history's most desirable electric and acoustic guitars. All electric guitar models were recorded into ProTools® HD with an Apogee® AD-16X converter with 3 microphones 2 inches from the grill and offset 2 inches from the center of the cone: A Shure® SM57 into a BAE 312A (Brent Averill's version of an API® 312); a Royer® 121 into a Chandler TG channel; a Beyer 160M into a Chandler TG channel. Amps used include a 1965 Fender® Deluxe Reverb®, a 1969 Marshall® Super Tremolo, and a 1964 Vox® AC-30. Sound samples were produced and recorded by Bobby Hartry at Cat Beach, performed by Michael Ripoll (http://michaelripoll.com), and mixed by Rich Renken at Rev4 Studio. FRFR represents a new way of amplifying electric guitars live onstage. 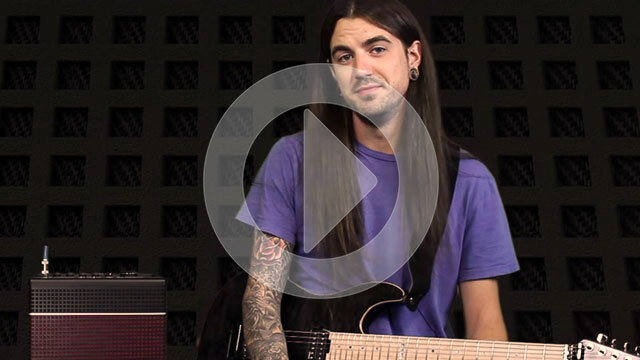 Join Max Gutnik as he discusses the reasons why you might want to consider an FRFR rig for yourself, and then watch Sean Halley play an FRFR setup in an LA rehearsal studio as he preps for some road gigs. Learn how to get playing quickly with AMPLIFi.